Hello lovely readers. 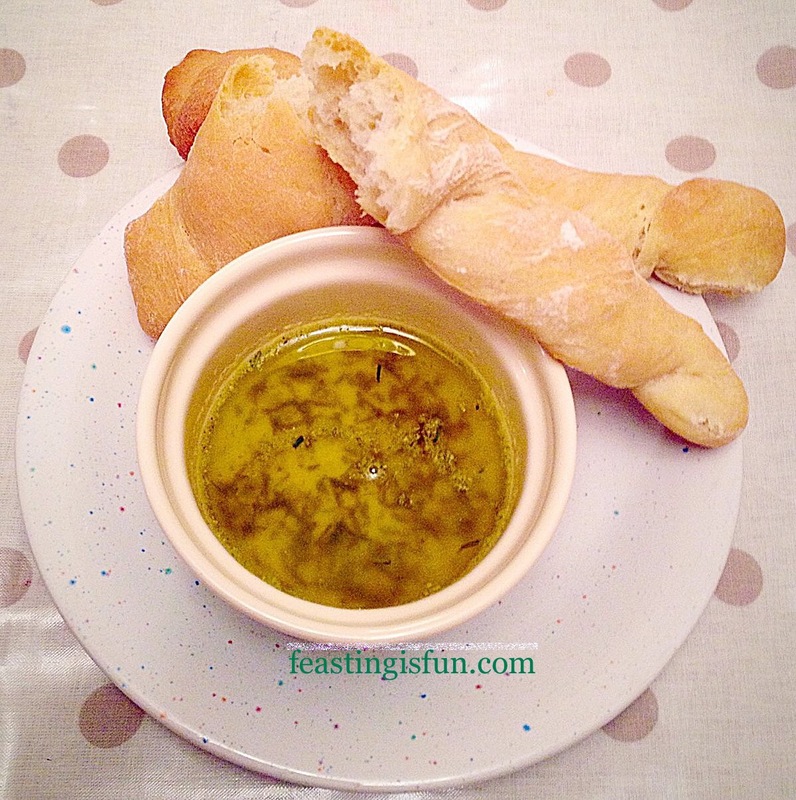 Today I am so thrilled to share with you my British Bakeware Product Review. British Bakeware produce a wide range of fantastic bakeware that is all manufactured in the UK. If you need a well made, durable piece of baking kit, British Bakeware stock it. I was sent a Large Baking Tray, 3lb Loaf Tin and 12 Cup Muffin Tray to review. 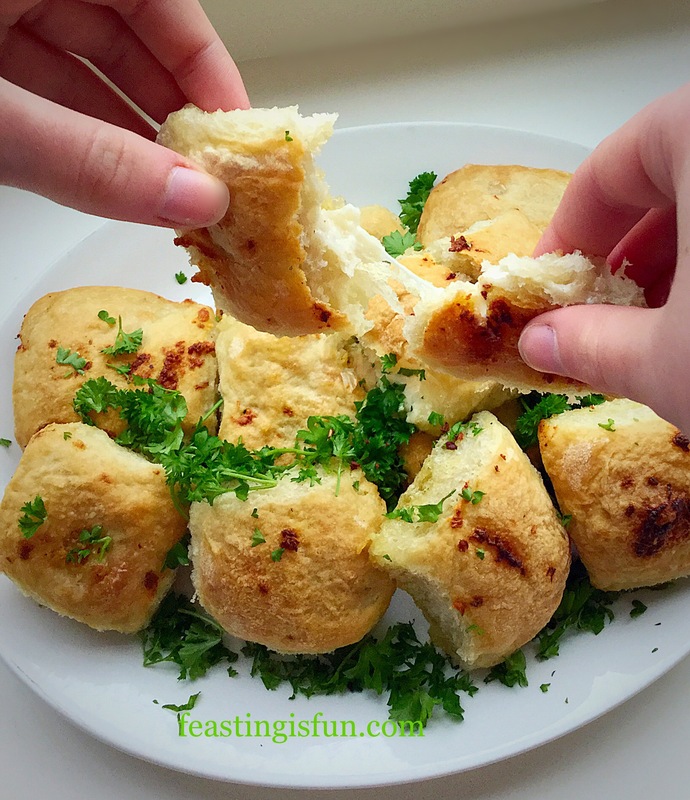 I had so much fun developing recipes and testing each product and am excited to share the final results and my thoughts on their products with you. 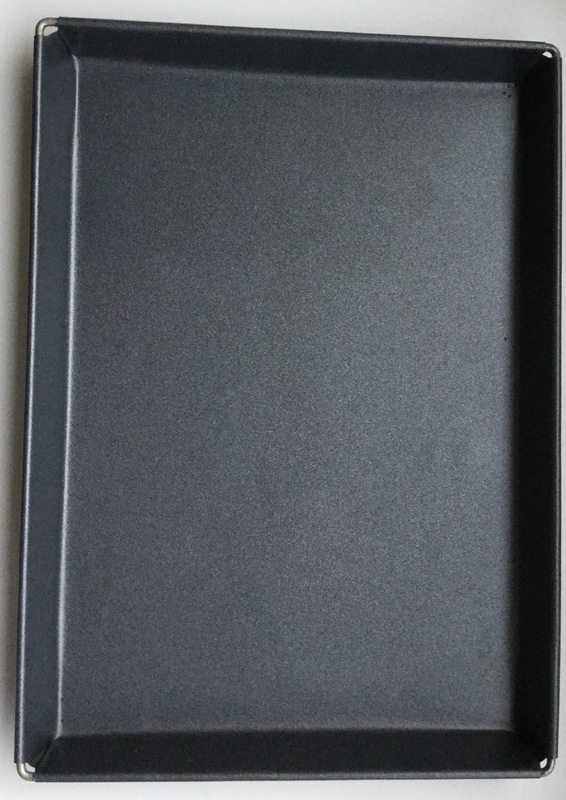 Large Baking Tray with a non-stick finish. 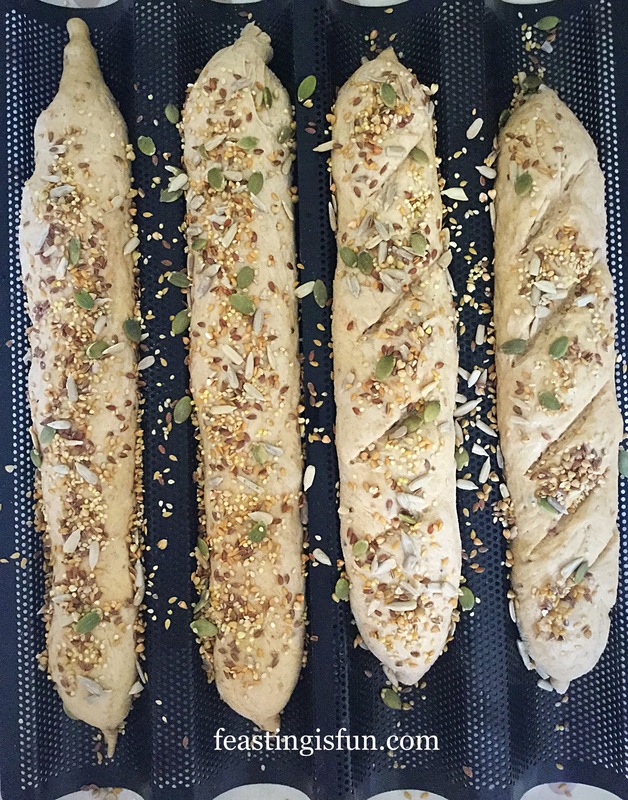 This Large Baking Tray has a double non-stick coating and is oven, freezer and dishwasher safe. 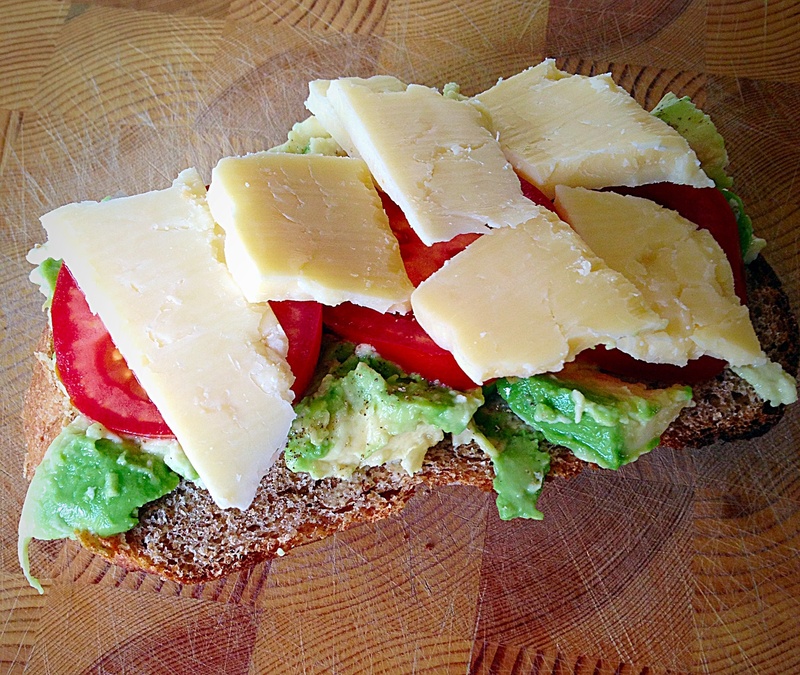 Oh, did I mention it comes with a 5 year guarantee – yep a whole 5 years. I really put this baking tray through it’s paces. From baking sausage rolls, on Christmas Eve, to roasting chicken, making biscuits and baking rolls. 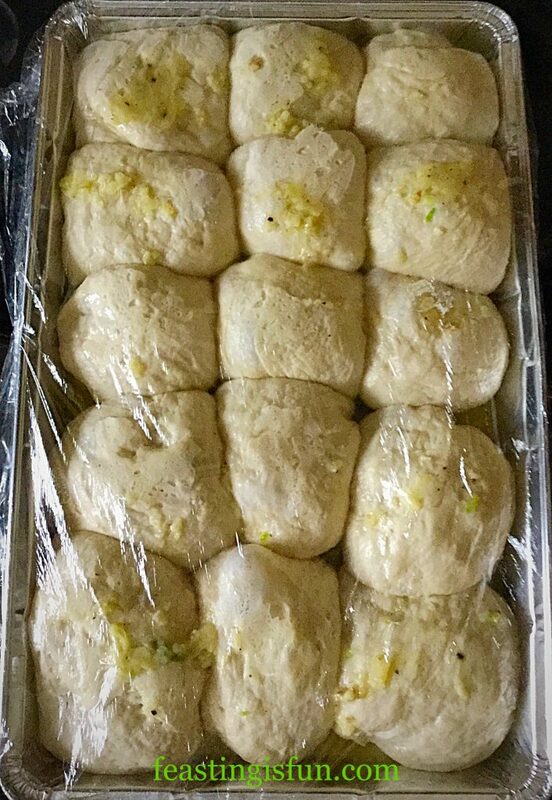 This baking tray performed time and time again. Food cooked evenly and the baking tray was a dream to clean. Although it is non stick I gave it a very light coating of oil prior to using it. Doing so prolongs the life any non stick bakeware. During my British Bakeware Product Review I developed new recipes. 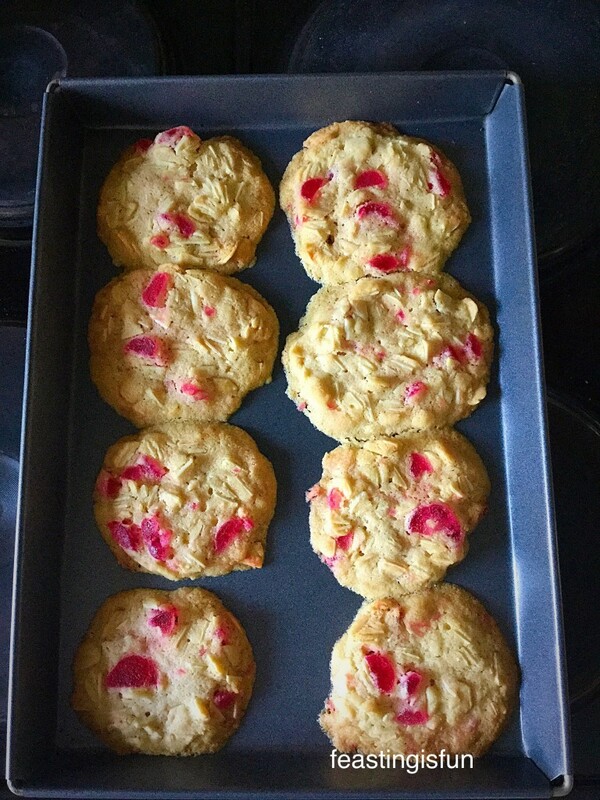 Using this Large Baking Tray I made Roast Chicken Noodle Soup that is very low in fat and these Cherry Bakewell Cookies for a little treat! Cherry Bakewell Cookies cooling on the baking tray. 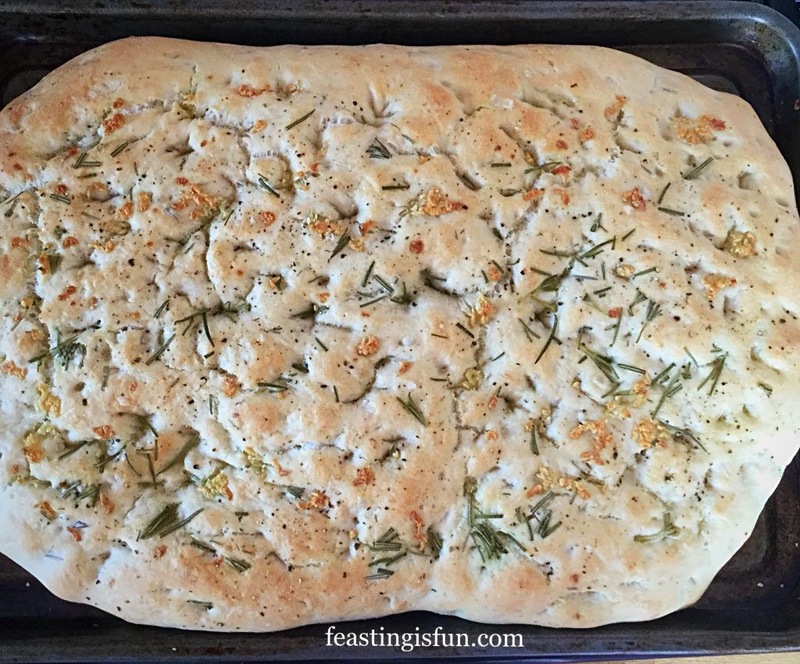 I deliberately did not grease the baking tray, or line with parchment paper. 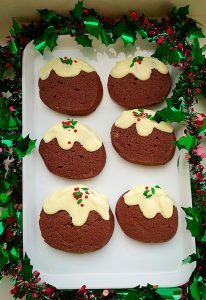 These cookies were very easy to remove, using a palette knife. 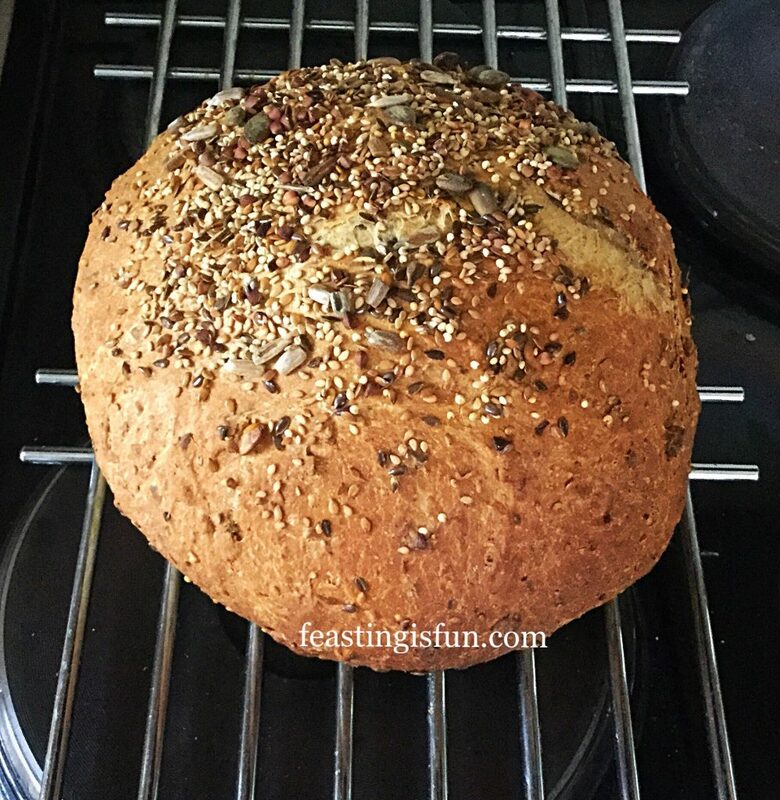 That for me was the ultimate non-stick test and this large baking tray passed with flying colours. In future I would line with baking parchment, as it is a great baking tray and I don’t want to scratch it! Overall I was very impressed with the quality, durability and versatility of this Large Baking Tray. 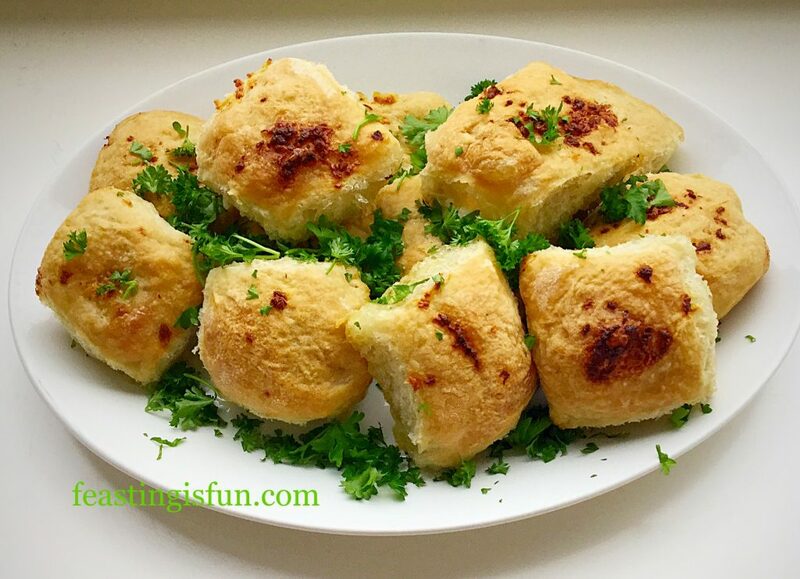 This Muffin Tray has a double non-stick coating and is oven, freezer and dishwasher safe. Yes this Muffin Tray also has a whopping 5 year guarantee. Although this is a Muffin Tray I wanted to bake deep cupcakes in it, to see how it performed. Baked, golden Vanilla Bean Cupcakes using the 12 Cup Muffin Tray. With the 12 Cup Muffin Tray I baked a batch of these Vanilla Bean Cupcakes. 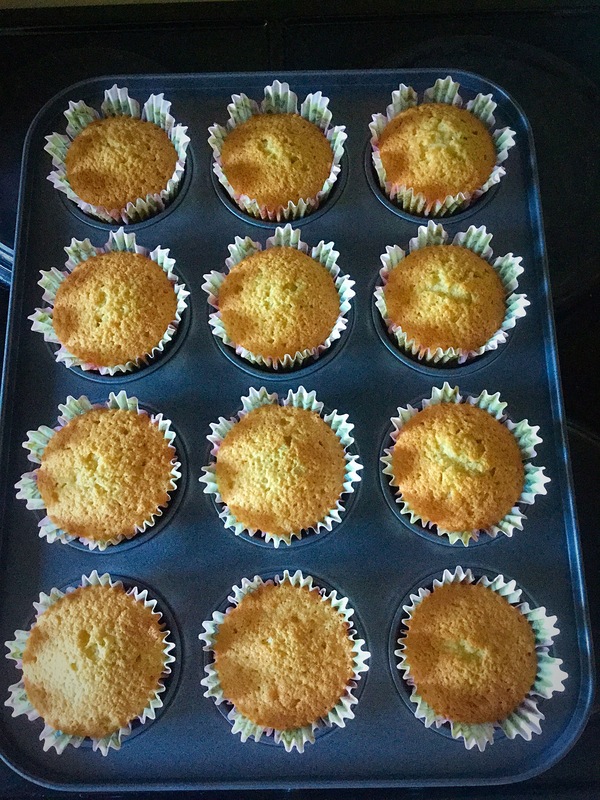 The cupcakes baked evenly across the tray and were easy to remove. What I particularly like about this Muffin Tray is the lip it has, that runs around the outside, on the top of the tray. 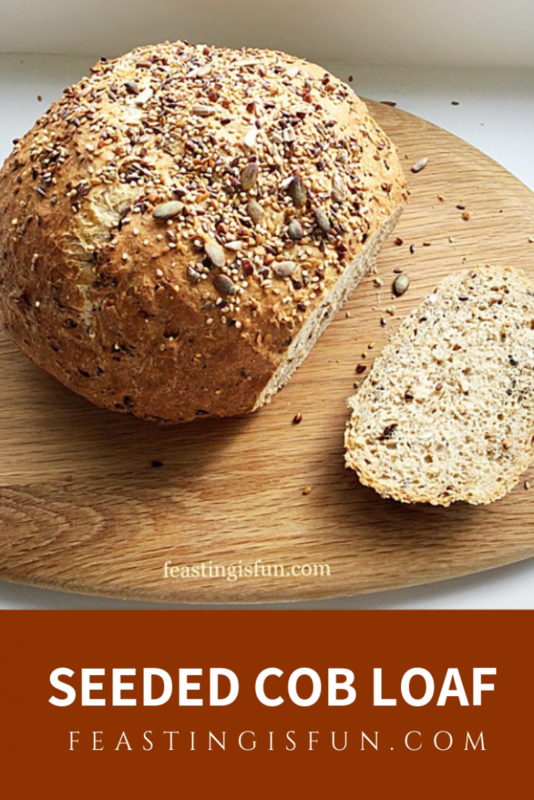 This is a fantastic feature when baking any muffin or cupcake with a streusel topping. Inevitably some of the crumbly streusel gets knocked off the top of the muffin whilst moving the tray, this little addition ensures the sticky, crumbly mixture, doesn’t end up on your oven floor! I do not know anyone who enjoys having to clean the oven!!! So top marks for that British Bakeware. 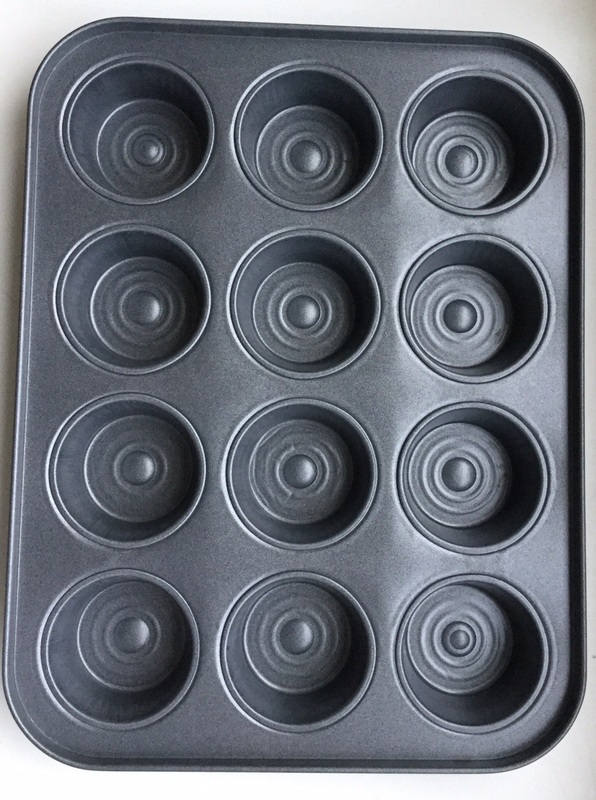 This 12 Cup Muffin Tray was easy to clean, baked evenly and can be used for muffins and cupcakes. It is a complete winner all round. 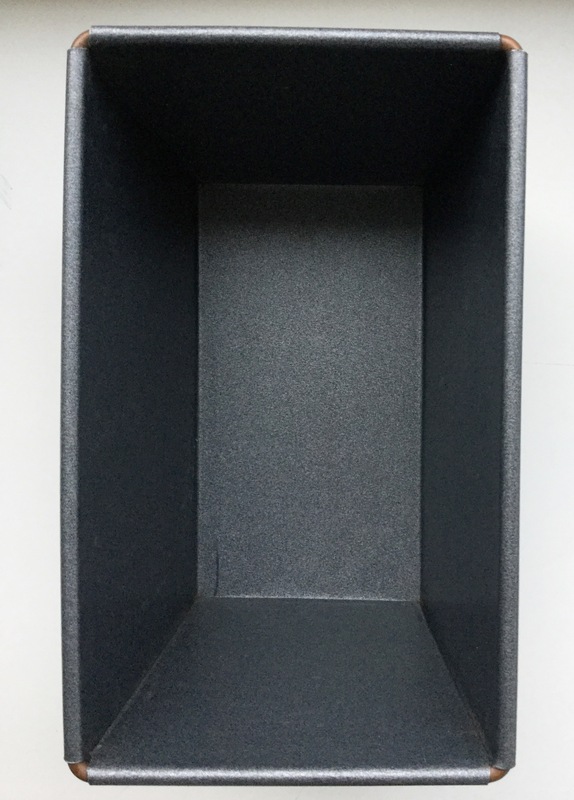 3lb Loaf Pan dimensions 21cm long x 13cm wide x 12cm deep. The 3lb Loaf Tin has a non-stick coating and is also oven, freezer and dishwasher safe. Did you know that I bake almost ALL of our bread? 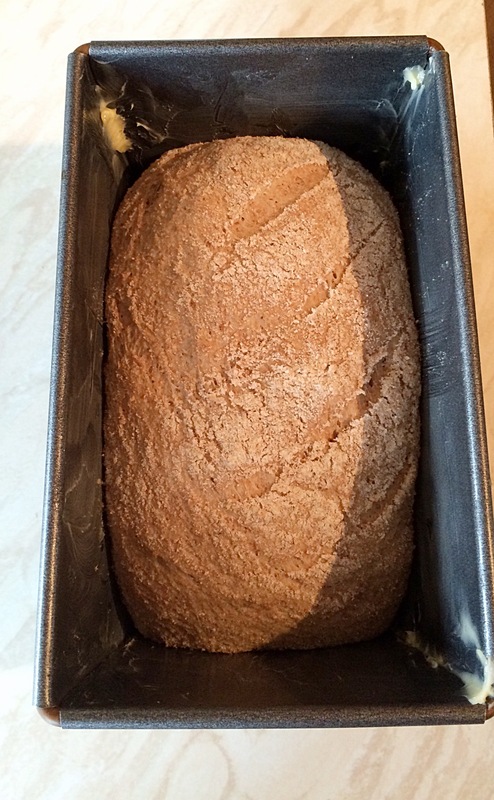 This 3lb Loaf Tin has been used almost every day, since just before Christmas. 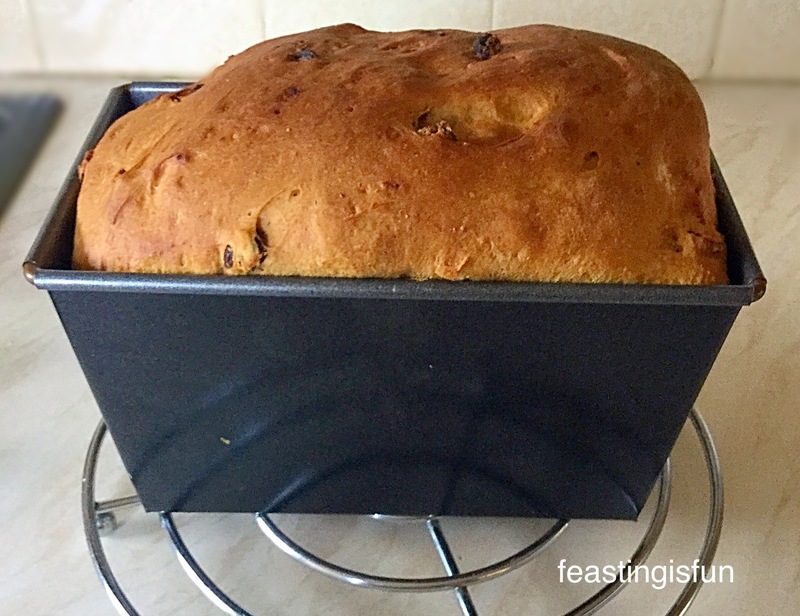 I have baked our regular variety of loaves and created 2 new recipes in honour of this loaf tin – if it is possible to love an item of baking equipment, well, let’s just say, don’t try and come between me and this loaf tin. Are we clear??? 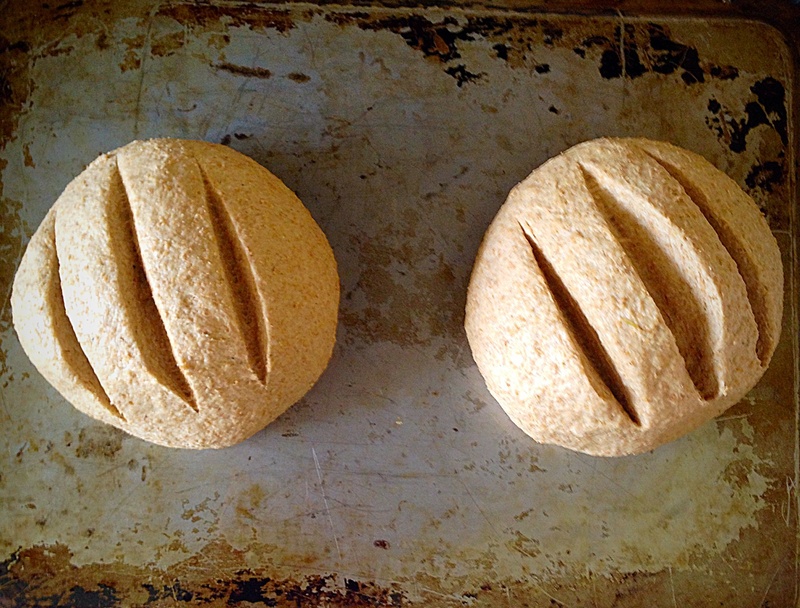 Time after time it produced fantastic loaves. 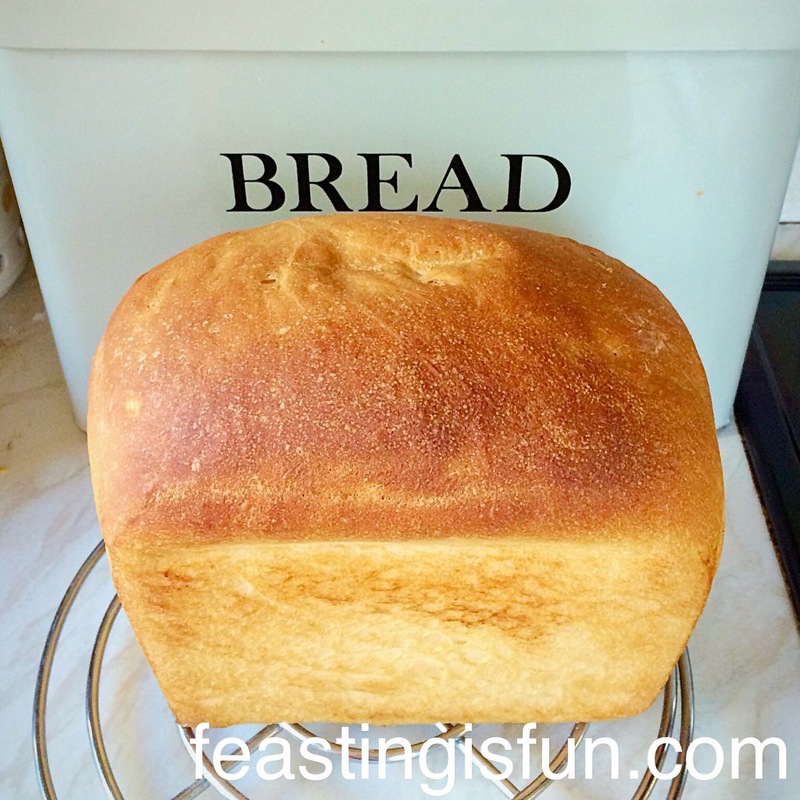 If you bake bread you NEED this tin. If you don’t and want to start get THIS tin. 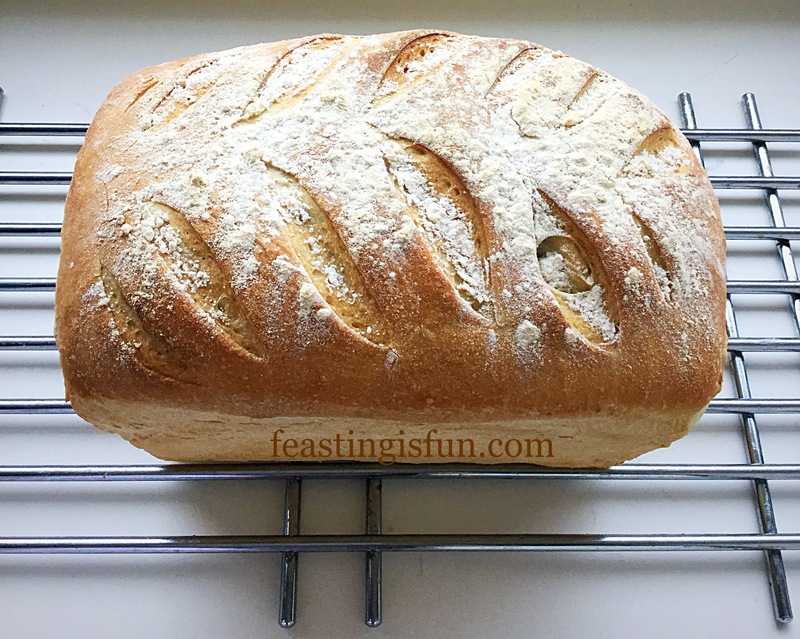 I have been baking bread for the best part of 40 years (I started very young!!) and this is, without question, the best non-stick loaf tin I have ever used. 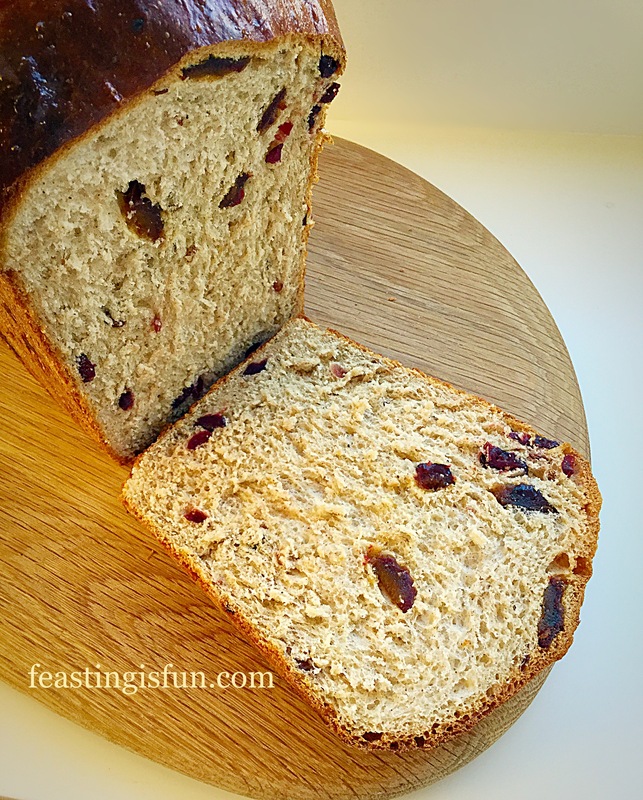 I created a recipe for a Wholemeal Loaf and a Spiced Fruit Loaf. 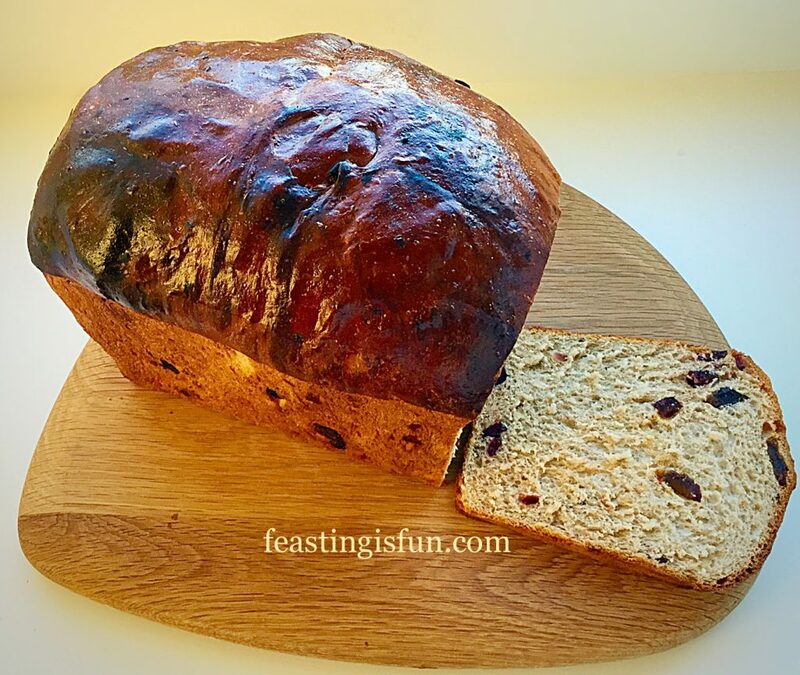 The fruit loaf has a very, very sticky dough, yet it baked perfectly in this Loaf Tin. 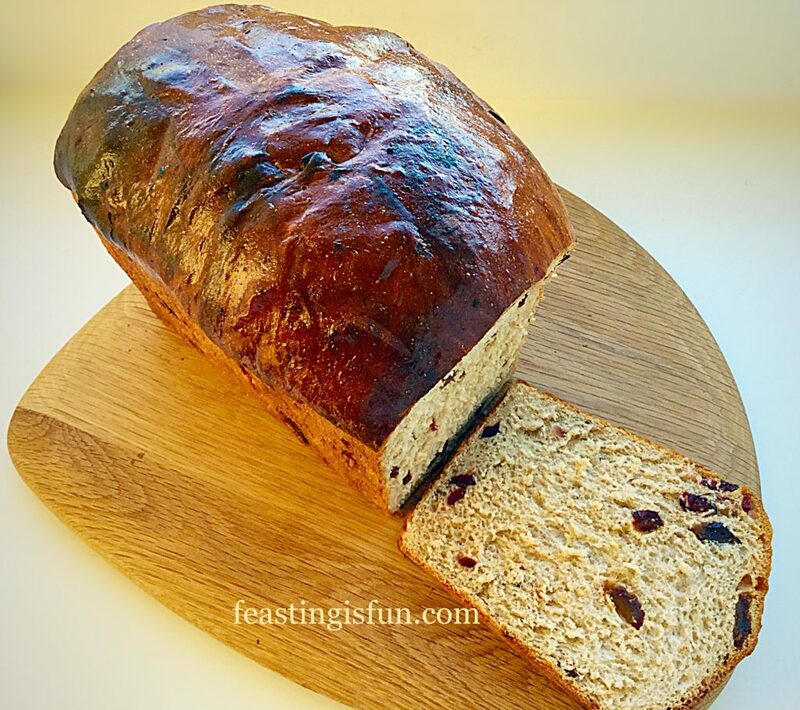 The 2nd Spiced Fruit Loaf I baked for this British Bakeware Product Review. The 100% Wholemeal Loaf also baked beautifully in this 3lb Loaf Tin. 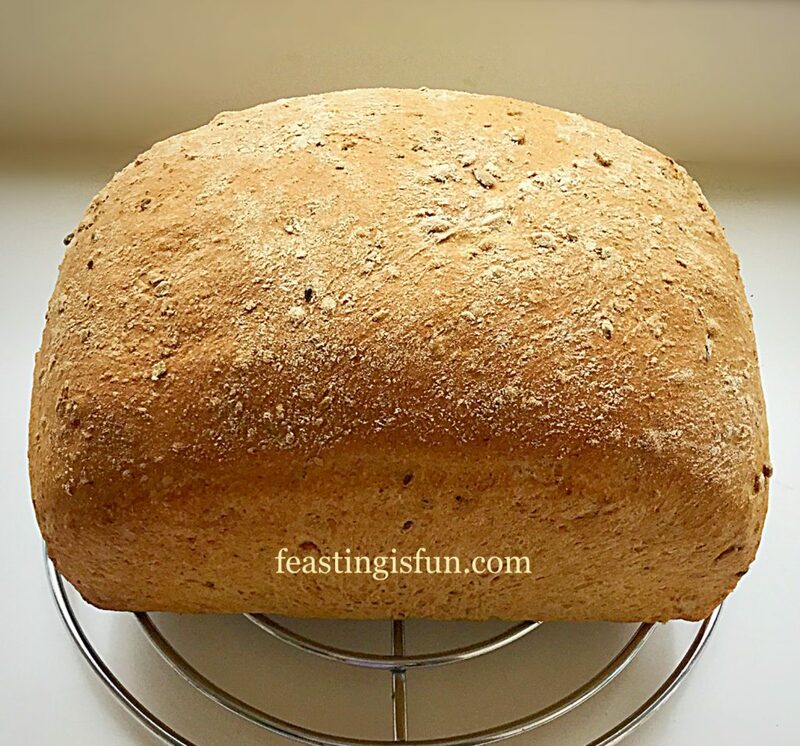 Delicious and healthy Wholemeal Loaf. 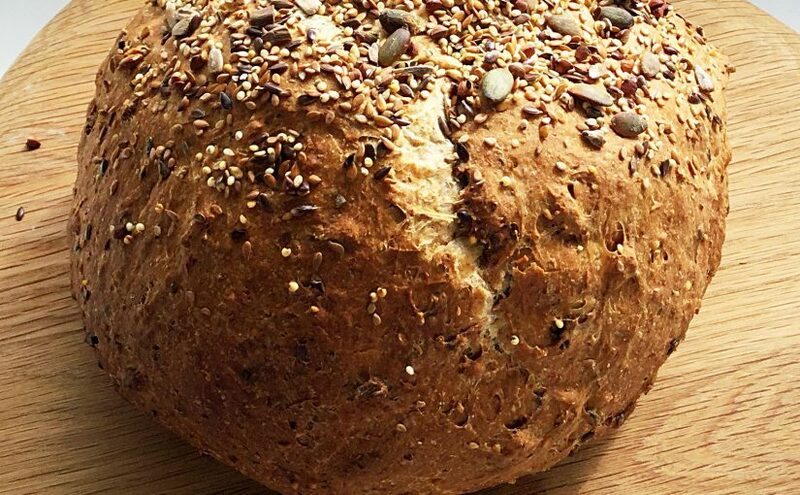 Have I convinced you to start making your own bread yet? 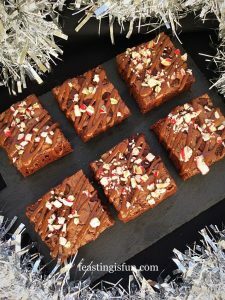 I have thoroughly enjoyed carrying out this British Bakeware Product Review, not least because the products I reviewed were of excellent quality. 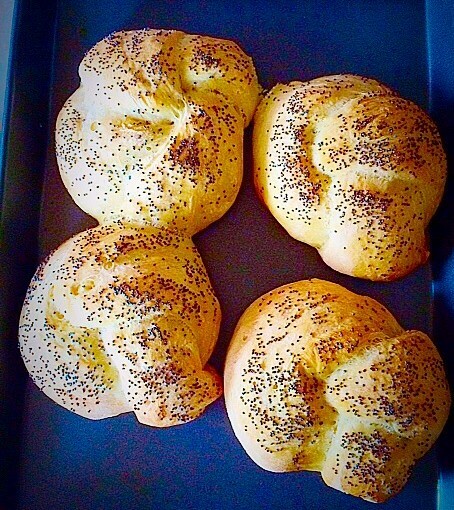 They withstood the rigours of a normal household kitchen, although, it is probable that I bake more than most. 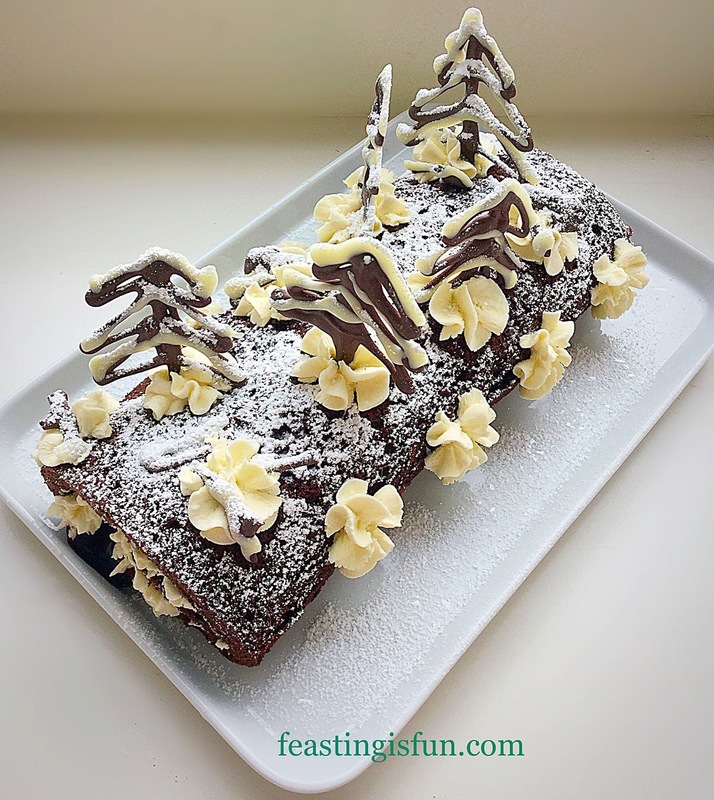 Whether you are a frequent baker, or not I can thoroughly recommend British Bakeware products. 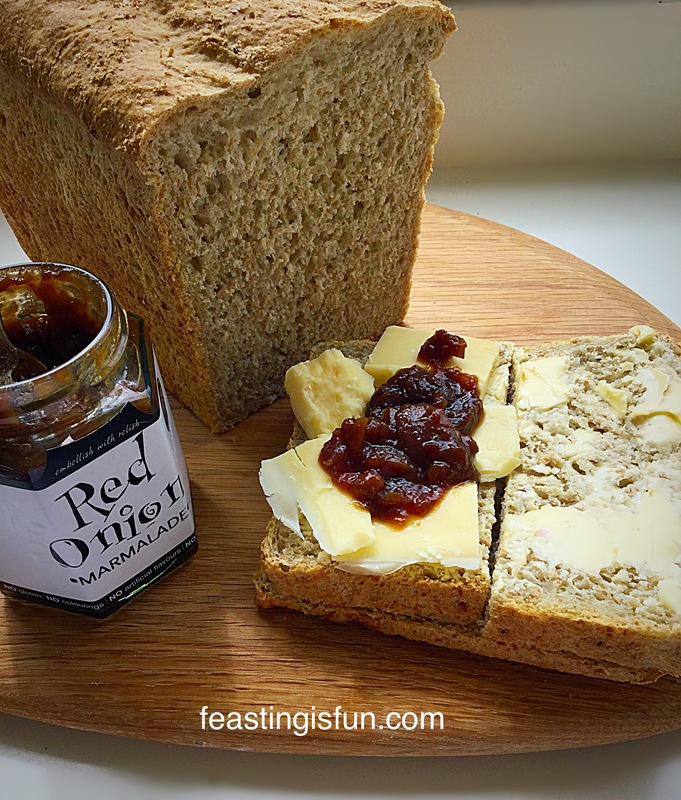 They are very reasonably priced, especially when you consider all three items I reviewed come with a 5 year guarantee and they are made right here in the UK. 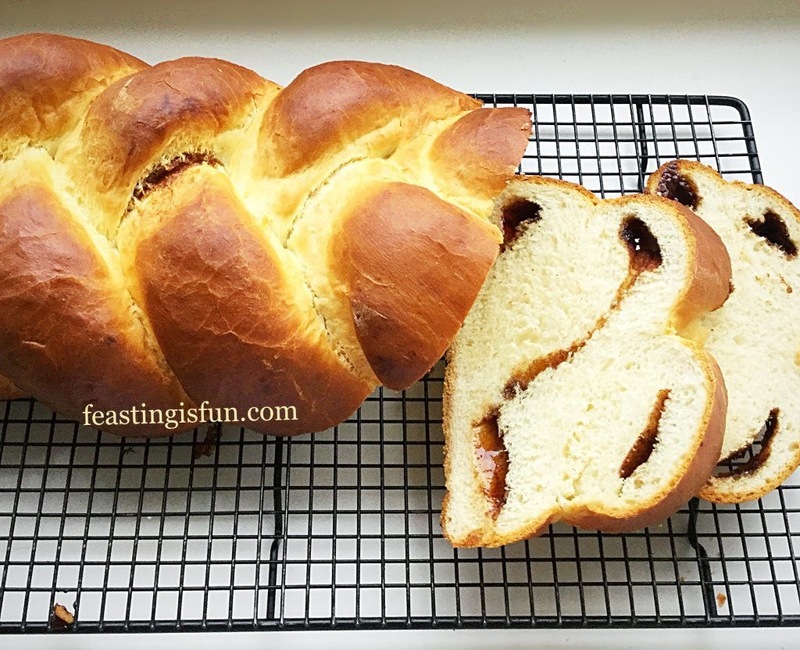 Following this British Bakeware Product Review they will now be the first place I turn to when I need baking equipment – in fact I already have a few items on my list!! As you know I frequently mention sharing on here. 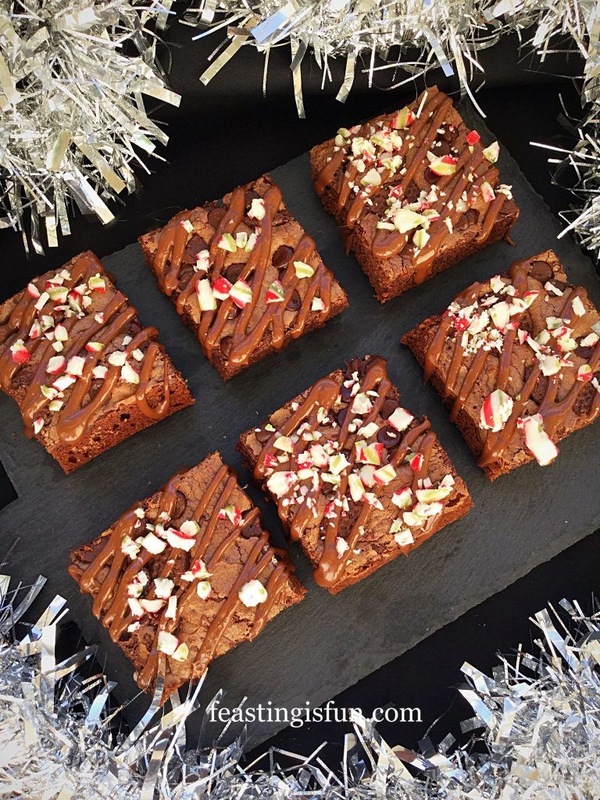 First home, wedding, birthday – how about giving a baking gift from British Bakeware? Maybe go one step further, pick a recipe (from feastingisfun of course 😉) buy the ingredients and the bakeware to bake it in and give it as a present? Would you like to start baking? Please let me know. I really enjoy reading your comments. I am not an expert but will always aim to give helpful advice. 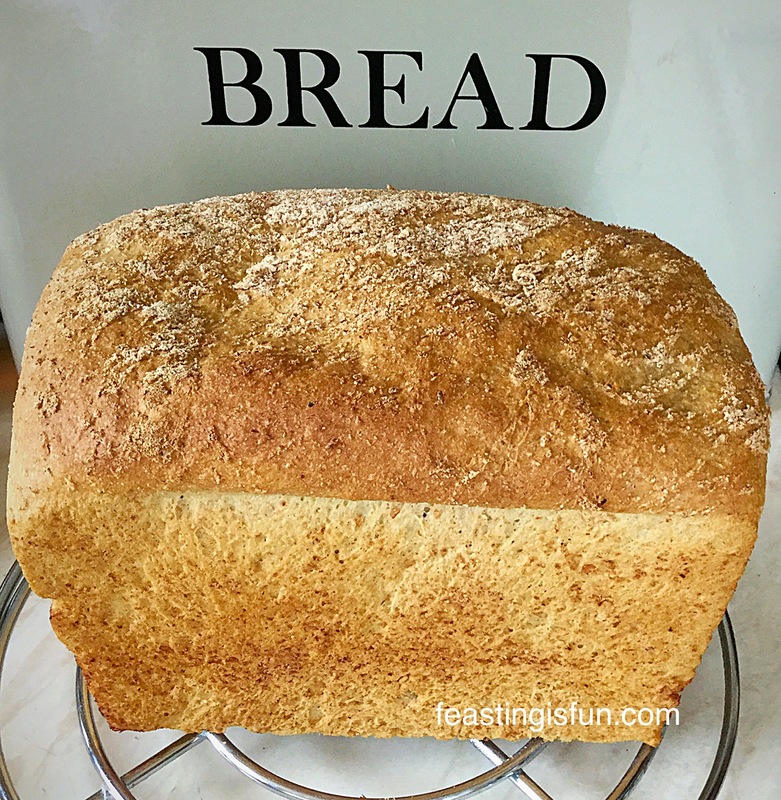 British Bakeware provided me with the 3lb loaf pan, large baking tray and 12 cup muffin tray, for me to review. All opinions and content are my own. I did not receive any payment for carrying out this review. What have I got here for you today? 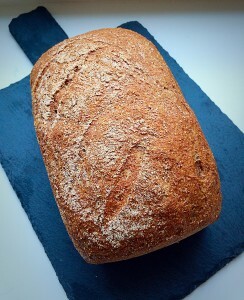 Only a 100% Wholemeal Loaf! 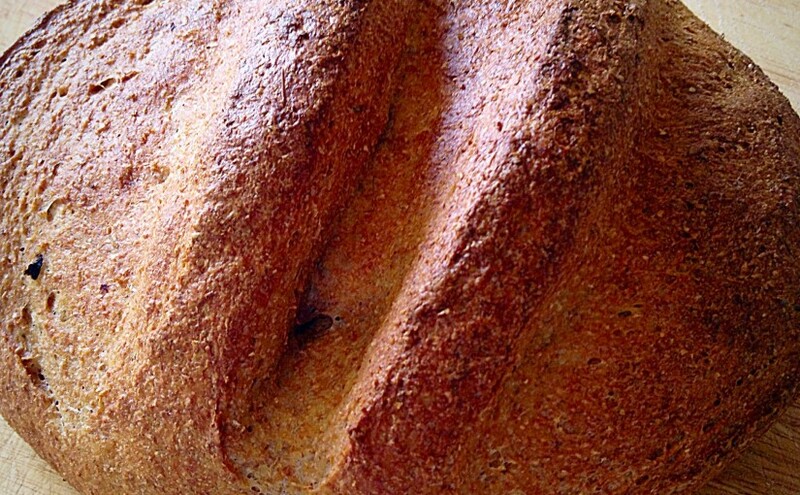 Gorgeous, crusty, healthy bread. 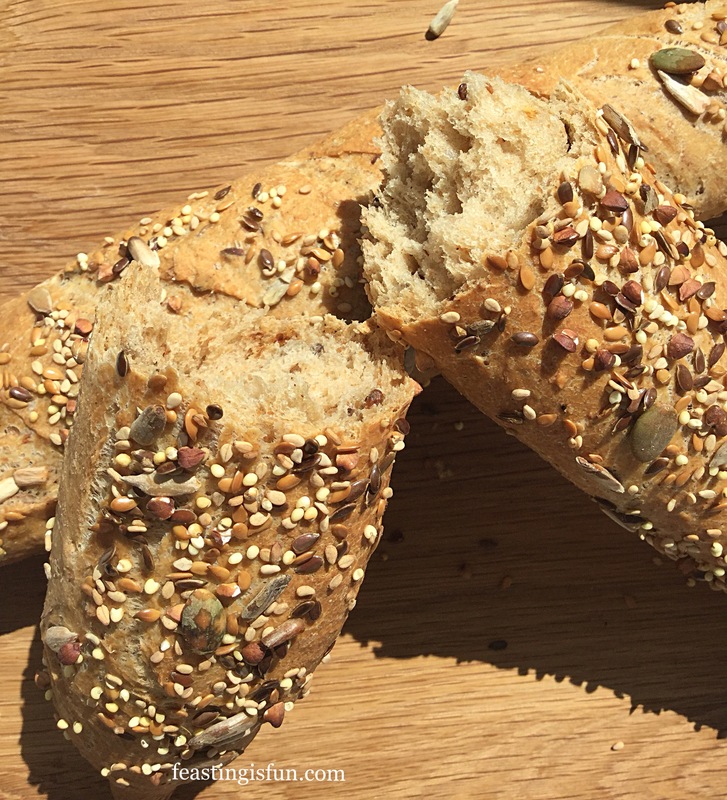 Perfect for increasing fibre in your diet and keeping you feeling fuller for longer. 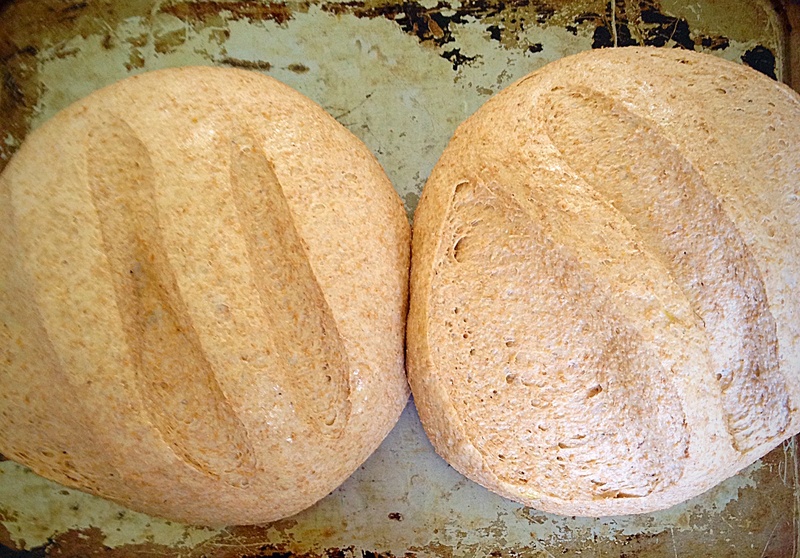 A completely Wholemeal Loaf is never going to be as light, or rise as much as a Large White Bloomer. 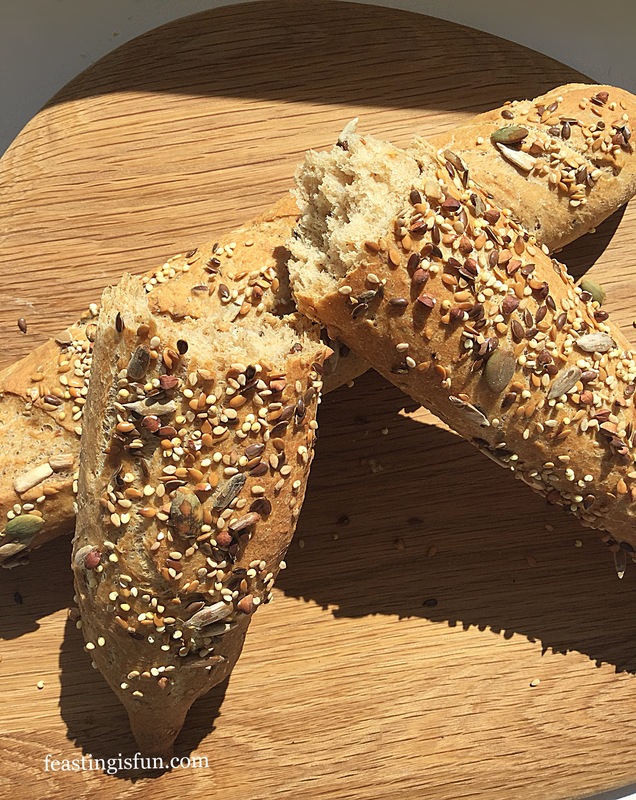 This is because the wholemeal flour has less protein (gluten) per gram than white flour, as the bran and germ have not been removed. 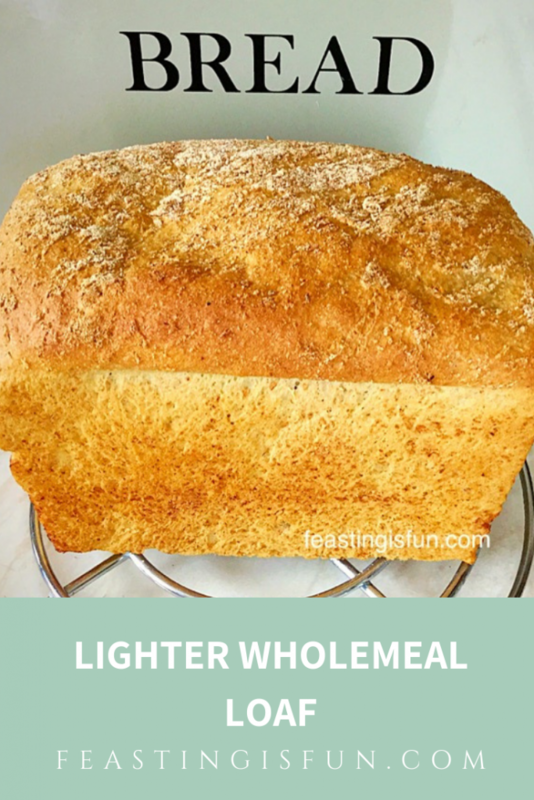 So a Wholemeal Loaf is always going to be denser than a white loaf. 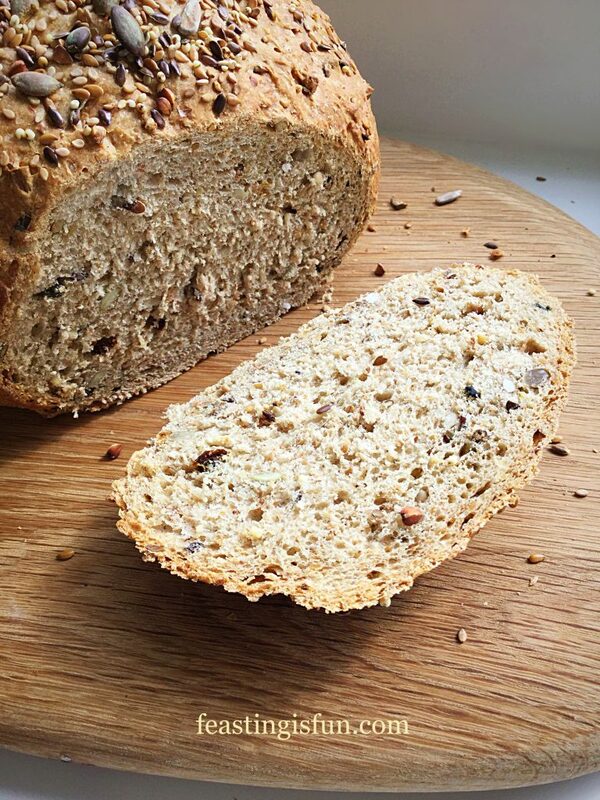 What I have found, is, that when making wholemeal bread using the regular, knead/prove/knockback and then prove again, I’ve had disappointingly heavy loaves. So I set about trying to improve the result. 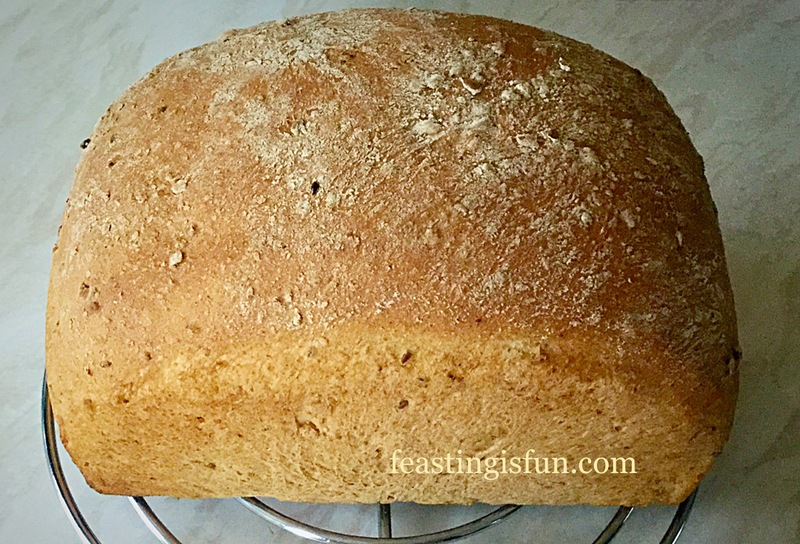 I am not claiming the following method is fool proof, or the only way to make 100% Wholemeal Bread, a quick search on the internet proved that! Sorry no pun intended well maybe! 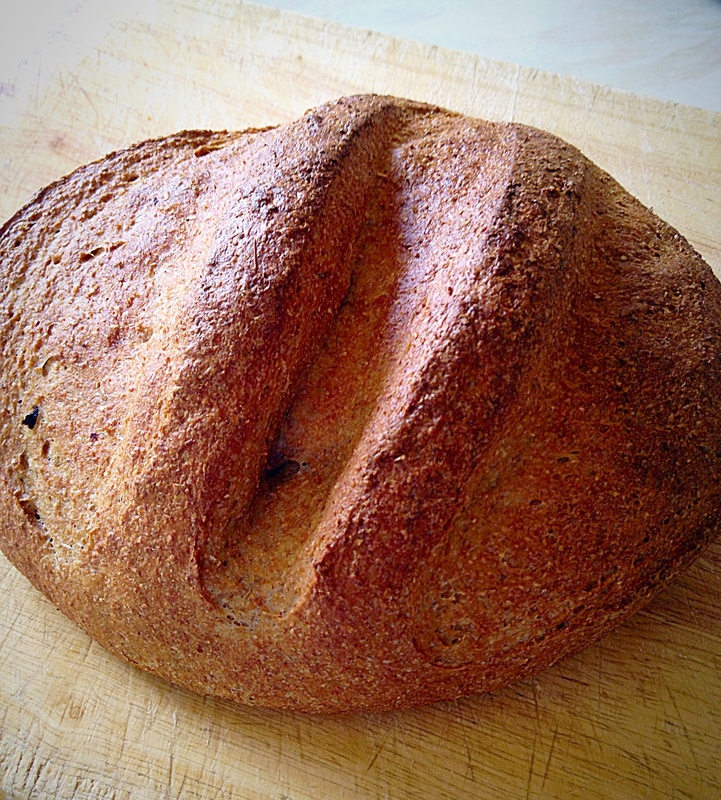 What I’ve found is, by triple proving the dough, the resulting bread is far more digestable and totally delicious. 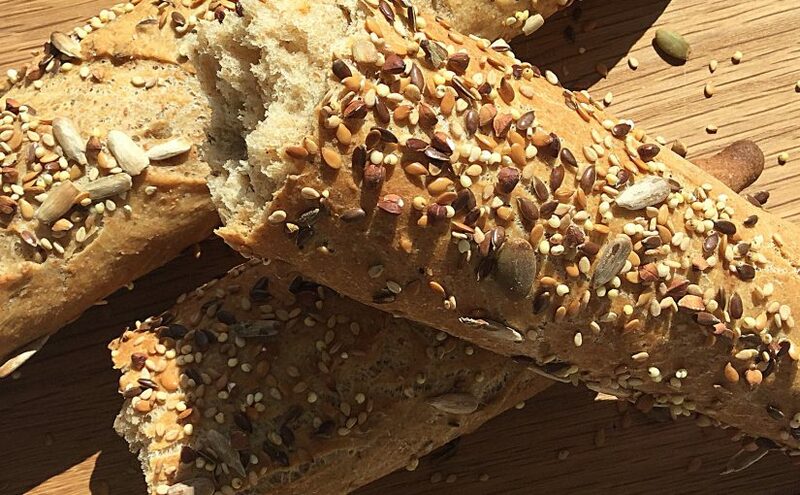 Wholemeal bread is extra delicious when paired with oily fish, such as smoked salmon, smoked mackerel or tuna. 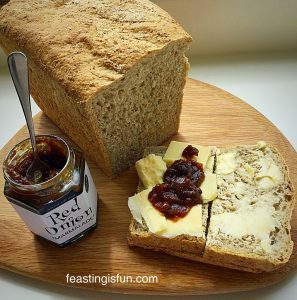 I particularly enjoy it, toasted, alongside a golden, dippy yolked, free range egg – the perfect breakfast. Whatever your reason for wanting to make and bake this bread, the triple proving method ensures the resulting loaf is delicious and more easily digested. 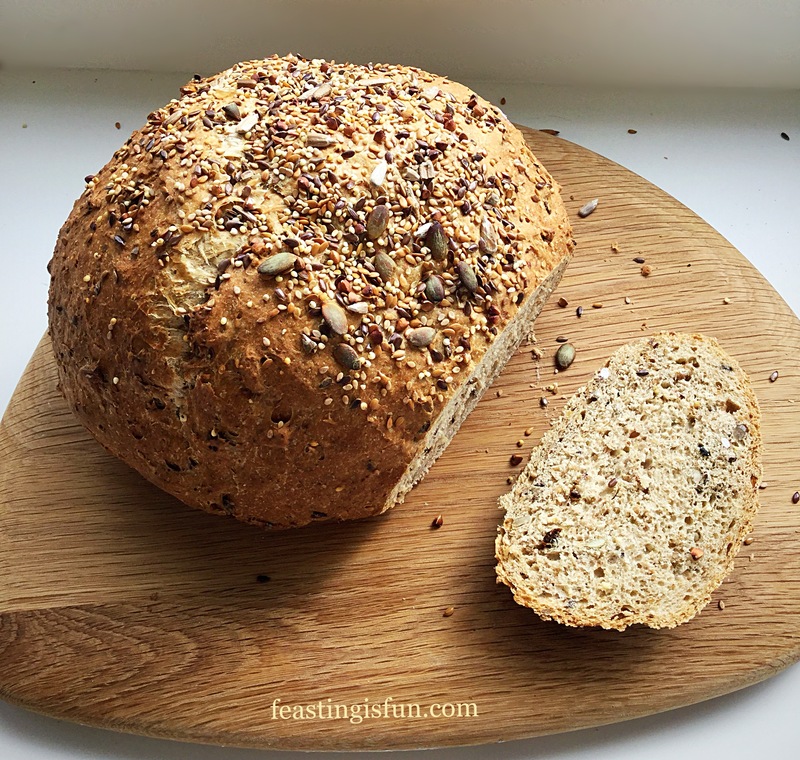 I personally enjoy baking and eating a variety of breads, yet this Wholemeal Loaf and my Crunchy Seeded Bread are top of my favourite loaves for sandwiches and toast. 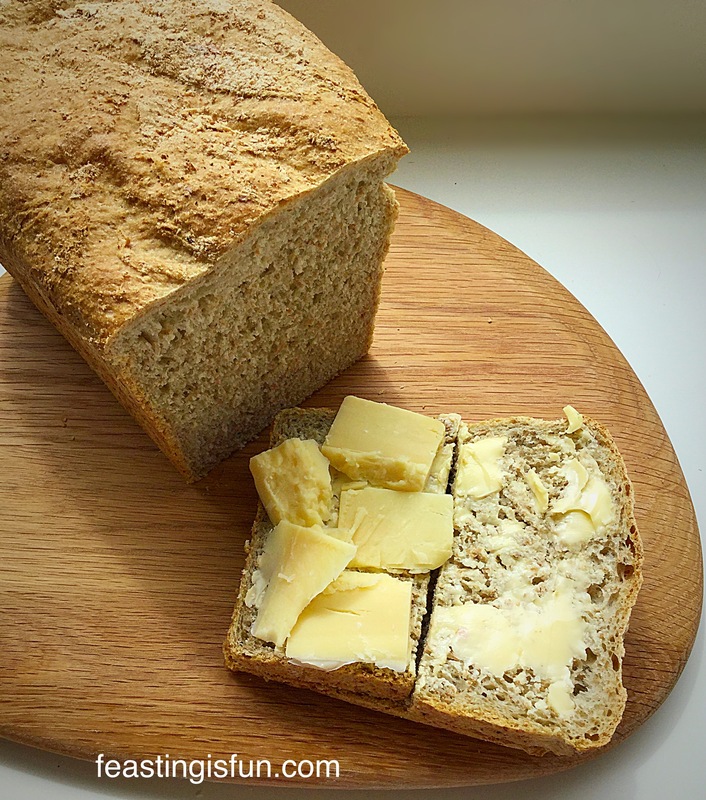 25g/1oz Unsalted Butter plus extra for greasing the loaf tin. 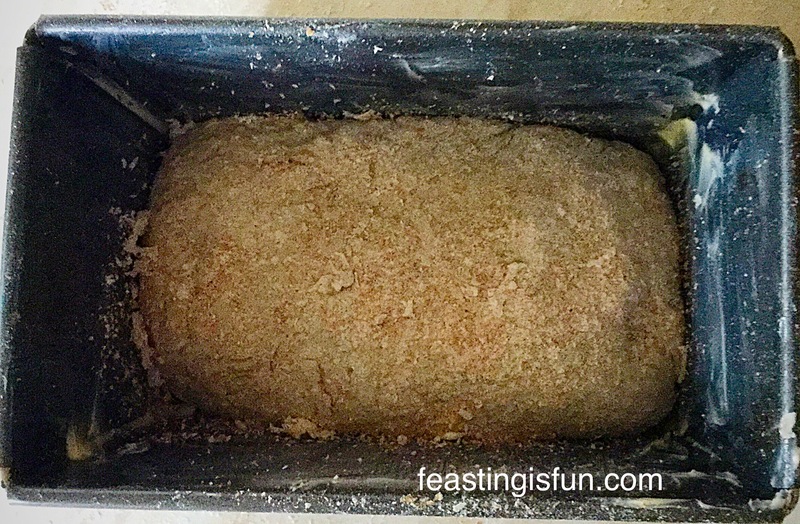 Method: Grease a 3lb Loaf Tin with butter. 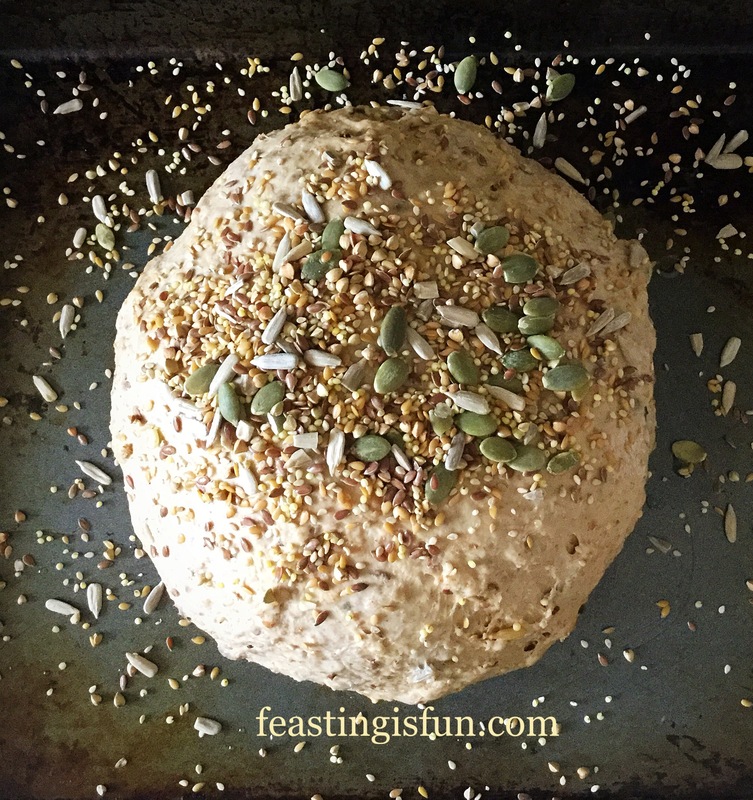 Using either a bread maker or free standing mixer, with dough hook attachment, add the water, yeast and honey into the bowl. Gently mix together with clean fingers. Add the flour on top of the water mixture. 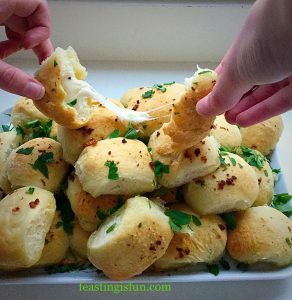 Break the butter into small pieces and add to the bowl. 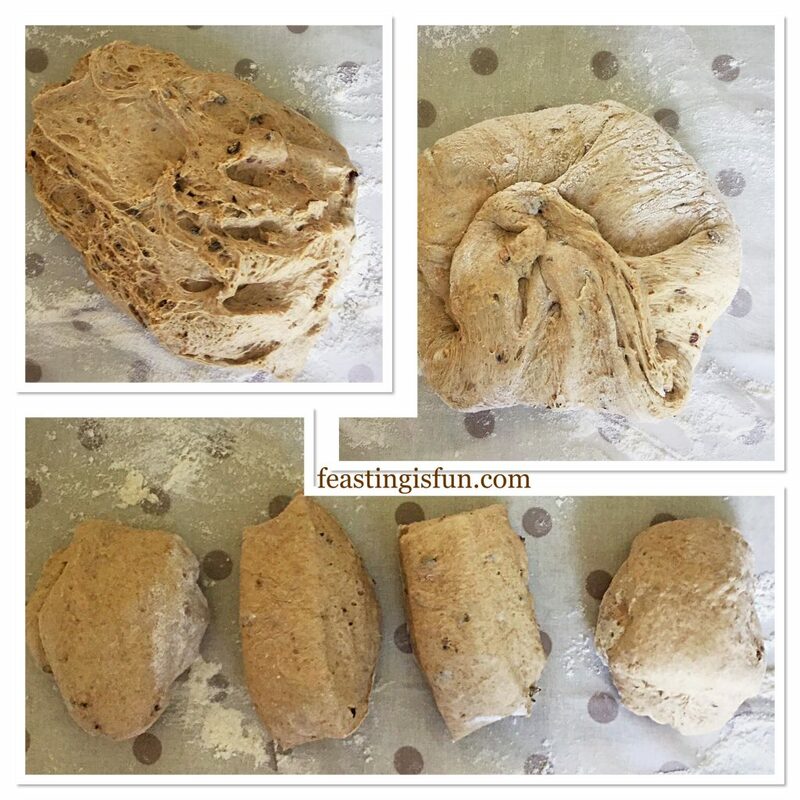 If using a bread maker, set the programme to dough cycle and start. When the cycle is complete, start the dough cycle again. 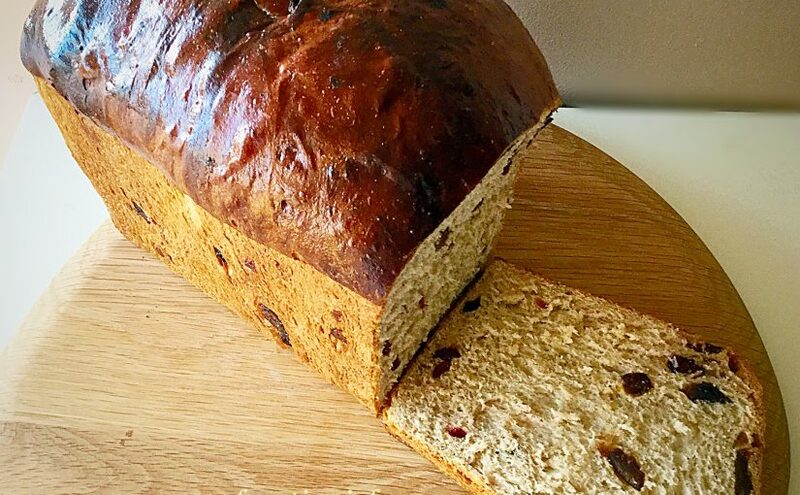 This will knock back the dough and prove it for a second time. 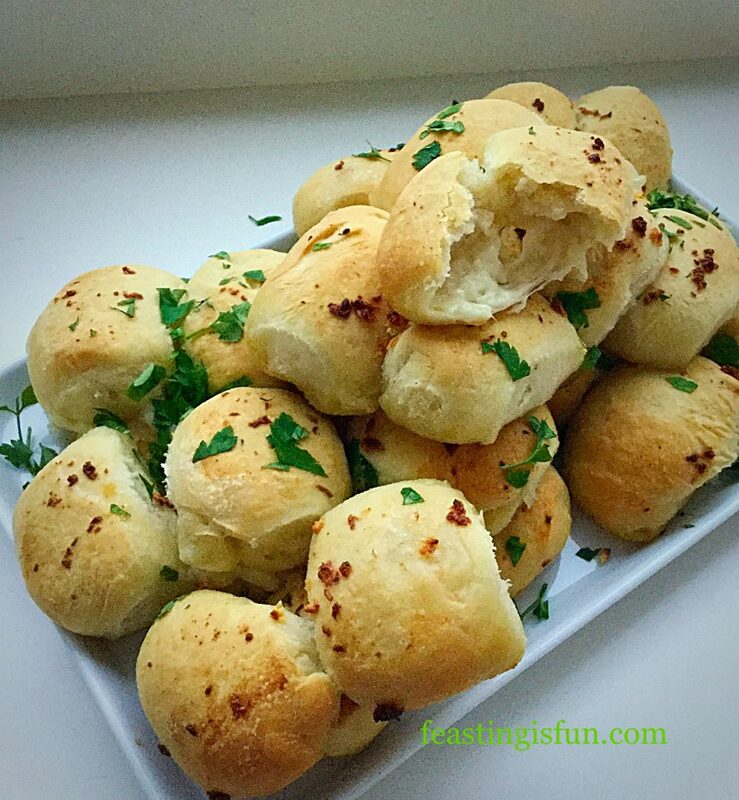 If using a stand mixer, lower the dough hook and mix on a medium speed. 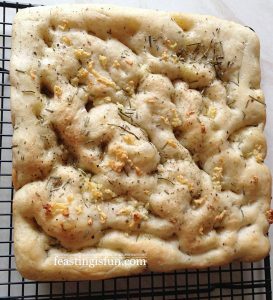 Once all the ingredients have come together to form a dough, continue mixing for 10 minutes on a low – medium speed. 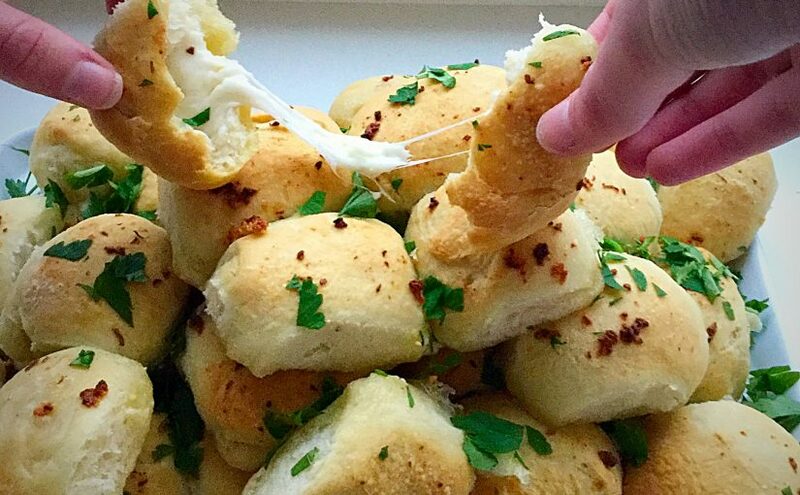 Stop the mixer. 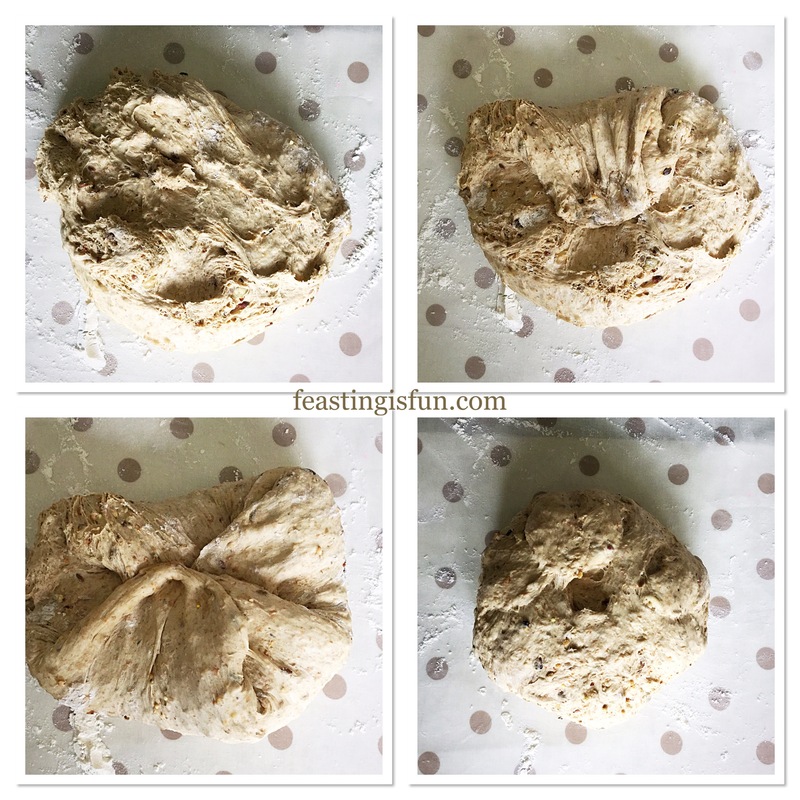 Remove any dough from the dough hook and form into a ball. Place back into the mixer bowl, cover with a damp cloth and leave in a draft free place for an hour. 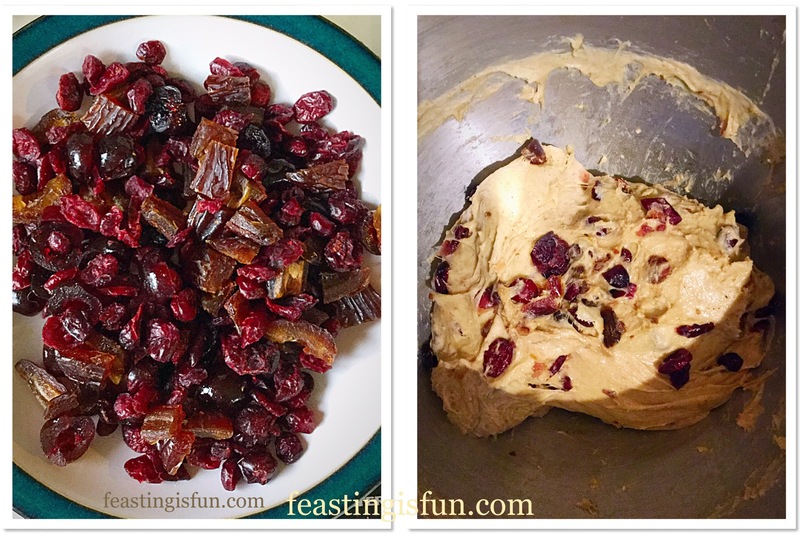 In the stand mixer, after an hour, lower the dough hook into the bowl and proceed to mix, as before for 10 minutes, this will knock back the dough. 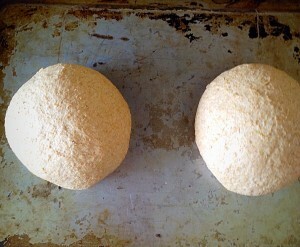 As before, stop the machine, scrape any dough off the hook, form the dough into a ball, cover with the cloth and leave for a further hour. 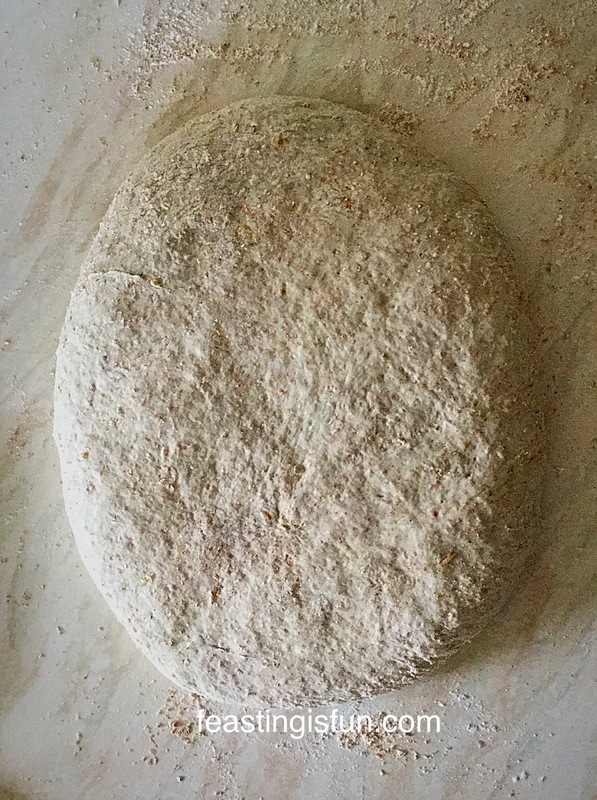 Once the second prove is complete, gently press the dough into a flat rectangle. Fold the bottom third upwards and then fold the top third down, over the first fold. Place the dough, seam side down, into the greased loaf pan. 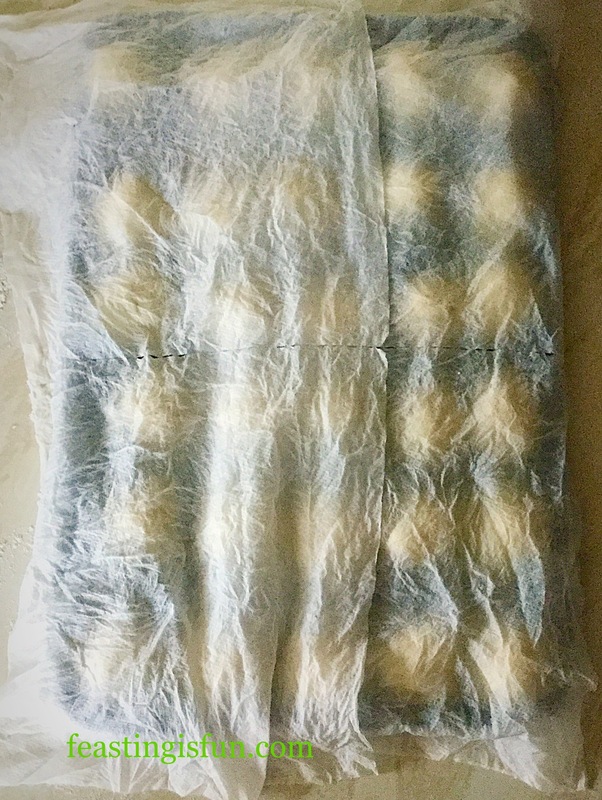 Cover with the cloth and leave for a further 1 – 2 hours, until doubled in size. You can add a light dusting of flour to the top of the loaf before it bakes. 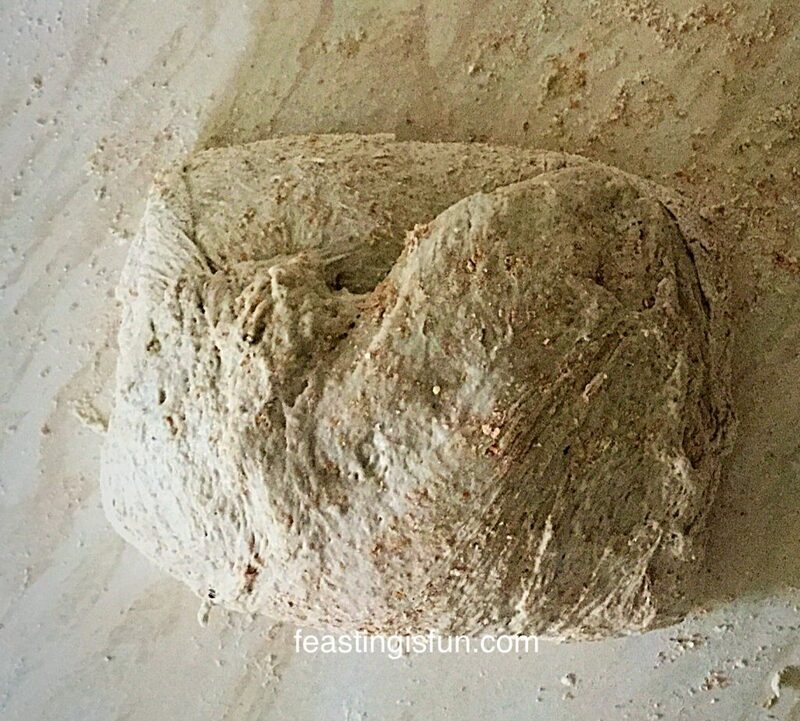 Preheat the oven to its highest setting 10 minutes before the wholemeal loaf is ready to bake. Place a baking tray, or grill pan in the bottom of the oven and fill with boiling water. 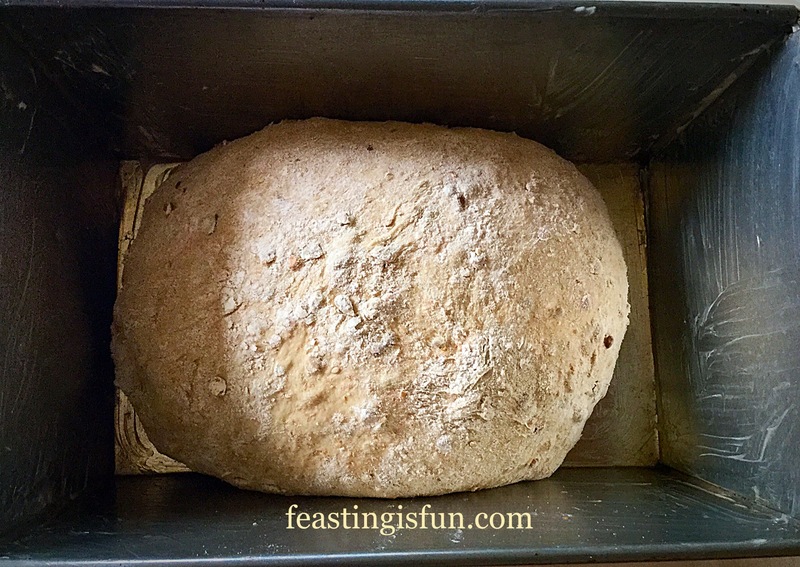 Creating a steamy environment, will help the bread form a delicious crust. 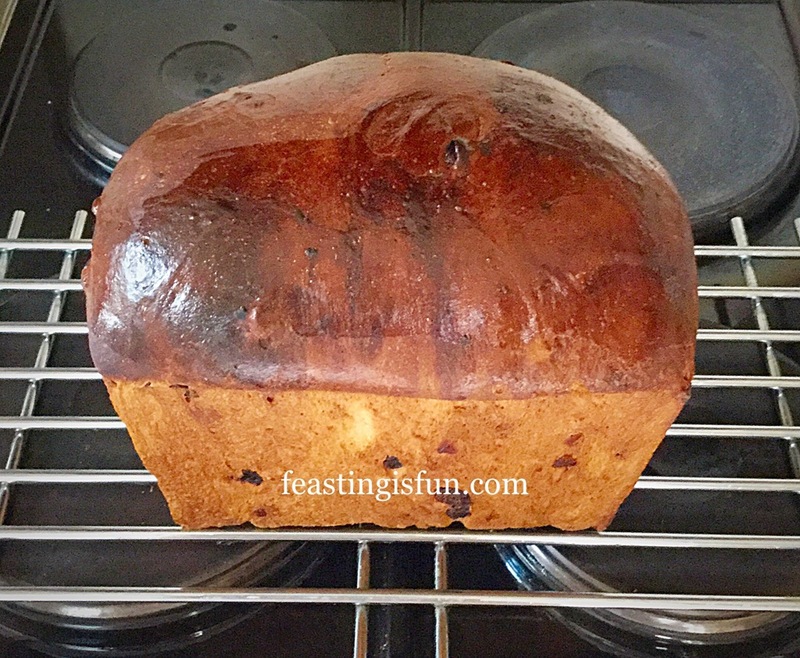 When the oven is hot and full of steam, carefully place the loaf tin (with the cloth removed) into the oven and bake for 30-40 minutes. 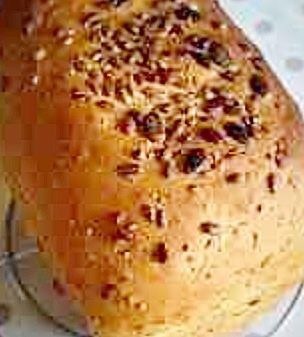 The bread is baked when it is a golden, crusty brown and sounds hollow when rapped on the base with your knuckle. 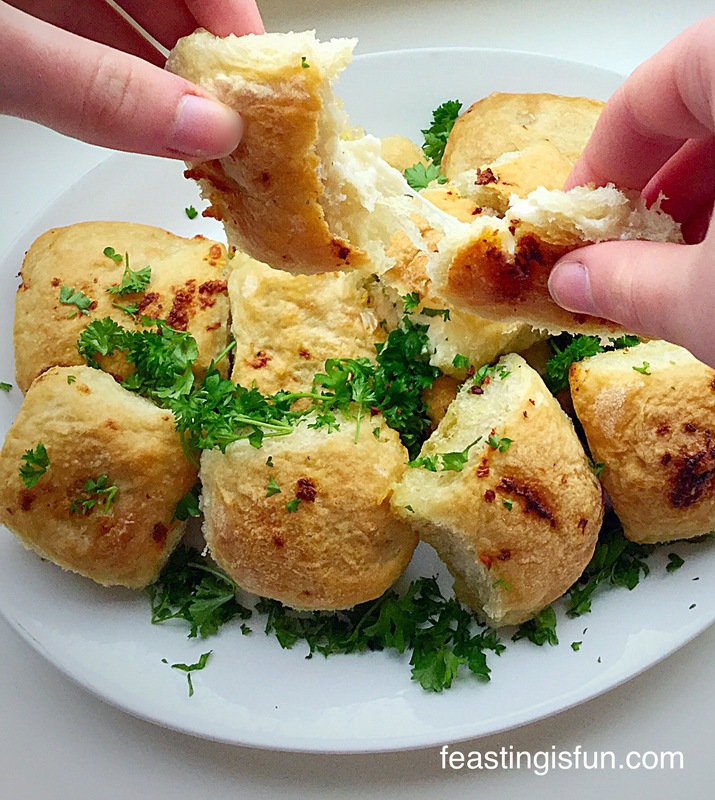 Remove the bread from the oven. 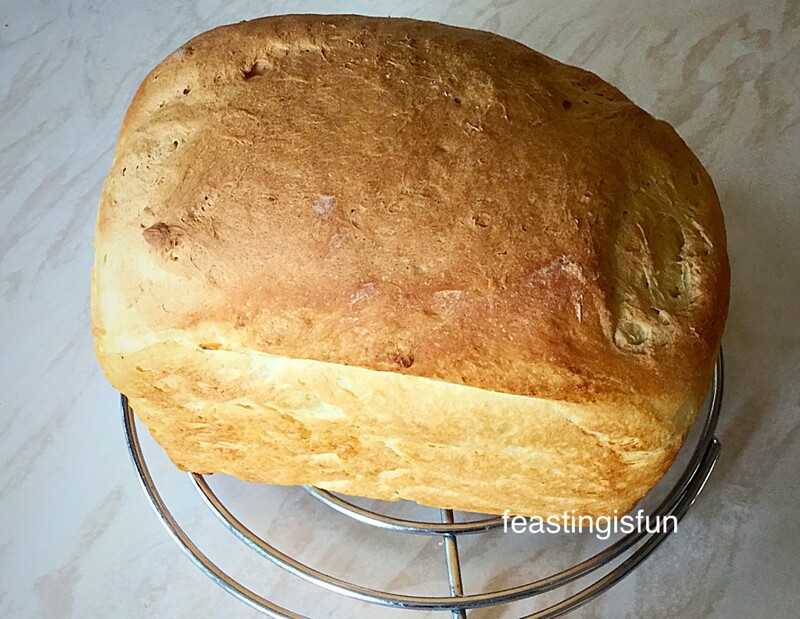 Turn out the loaf immediately and leave to cool completely on a rack. 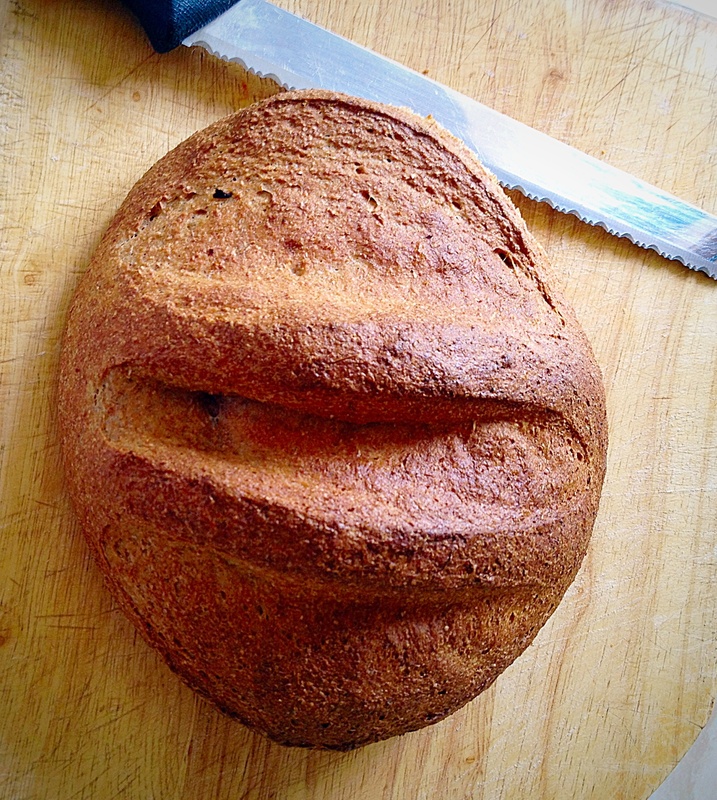 If you make this loaf I would love to see your photos. 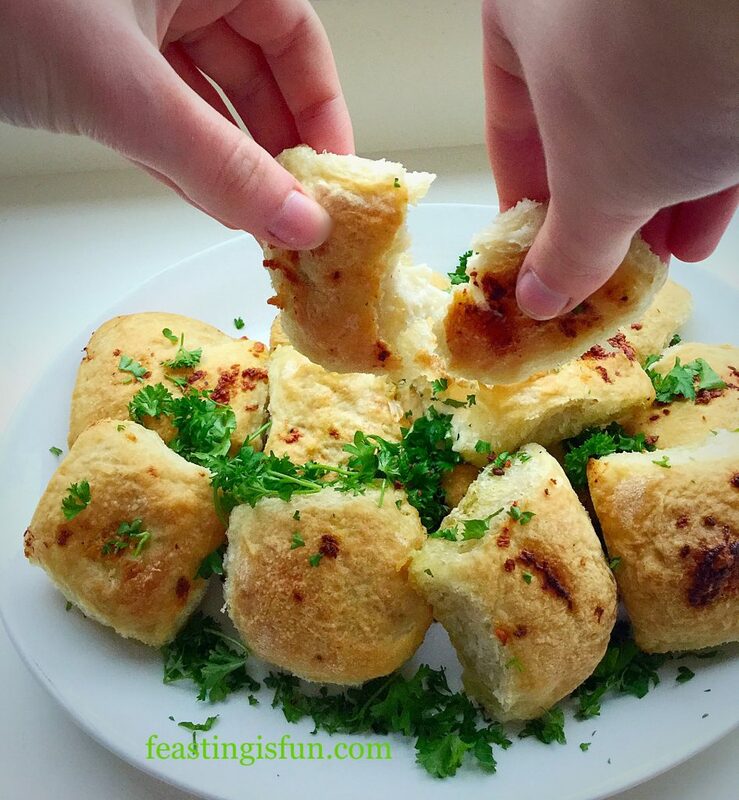 Post them on Twitter and Tag me in with #feastingisfun. 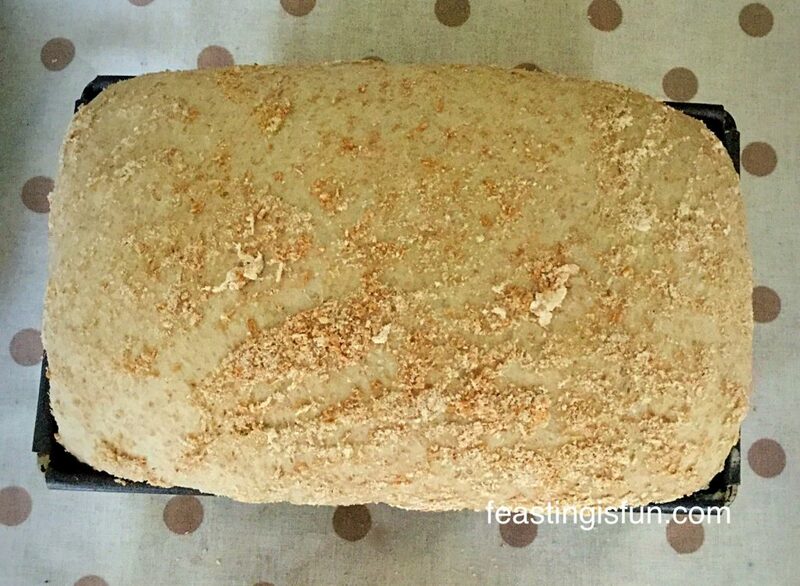 This Wholemeal Loaf was baked in a British manufactured 3lb loaf tin available from British Bakeware. I did not receive any payment for using this tin. All opinions and content are my own. Hi, I’m so excited. I have a secret to share with you. 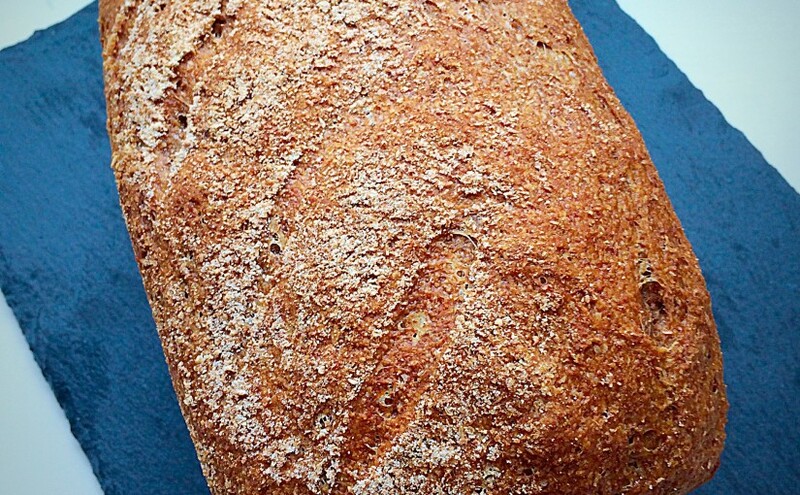 100% wholemeal bread that’s not heavy! 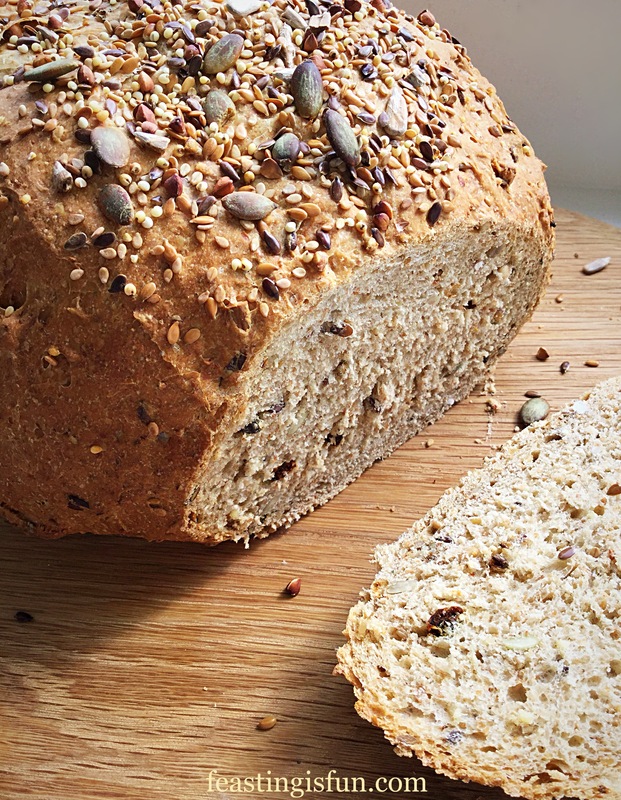 My Wholemeal Cob Loaf is delicious, nutritious and so tasty – oh and did I mention it’s not heavy, like some 100% wholemeal loaves can be. 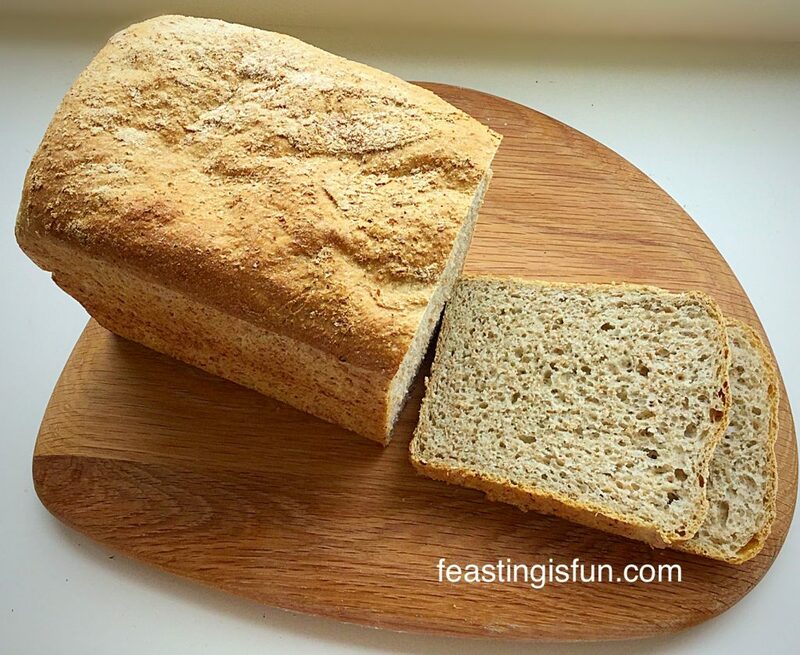 Wholemeal Cob Loaf – a gorgeous crust and delicious taste. 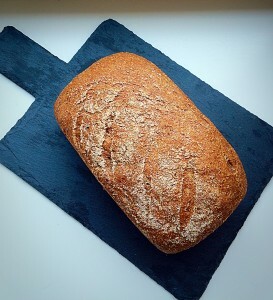 The trick, I’ve found, to make a Wholemeal Cob Loaf that ISN’T dense, is to triple prove the dough. 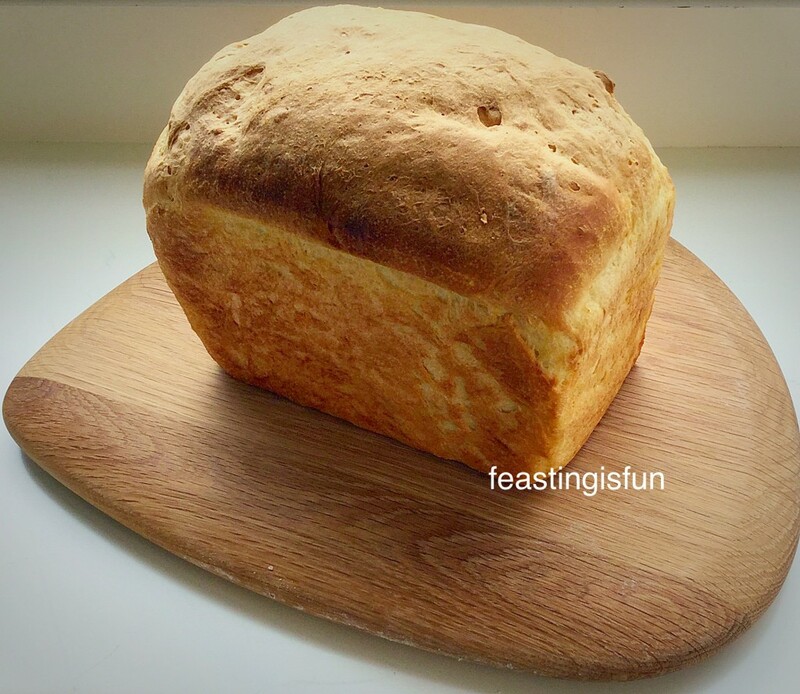 This is most definitely a loaf that cannot be rushed. But hey, it’s not like you have to do anything while it’s proving! It’s very happy to be left alone!!! Also I used my bread maker to mix, prove, knock-back, prove etc. 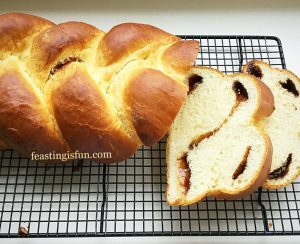 All I had to do was shape the final loaf. But it could easily be made by hand, with kneading and knocking back adding only a few extra minutes. Trust me it’s so worth it! 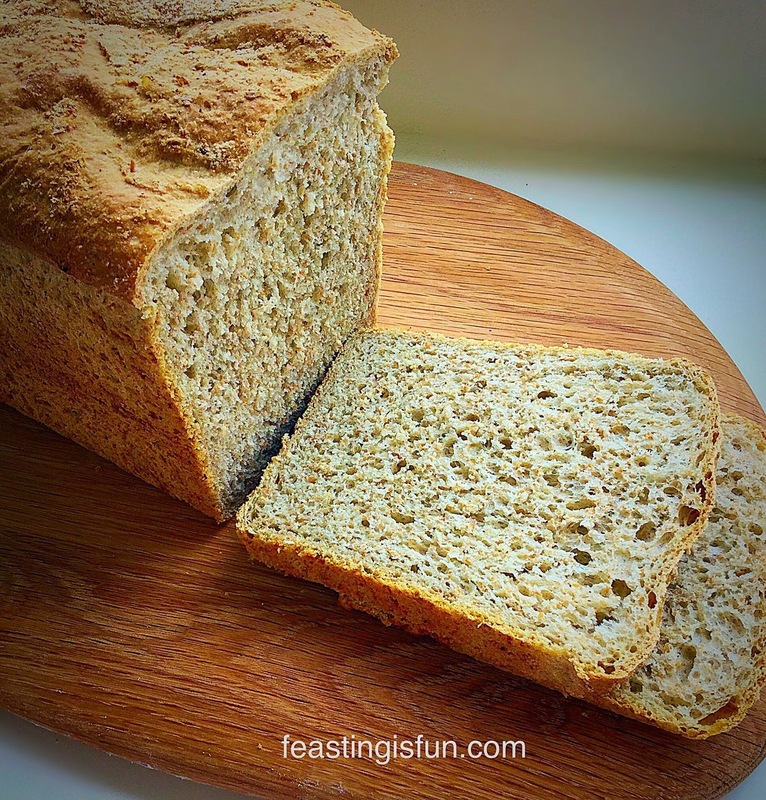 Wholemeal Cob Loaf – cutting through the top creates more crunchy crust. 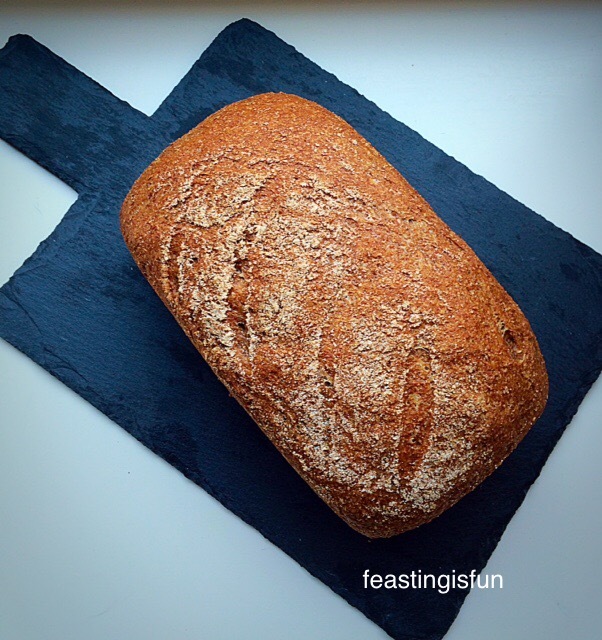 This Wholemeal Cob Loaf delivers massively on flavour. 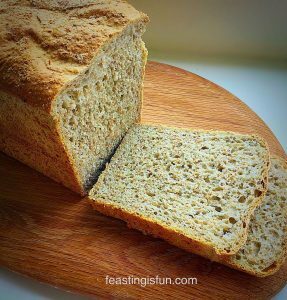 A deep flavoursome loaf that is part of a sandwich or toast, not just a medium for the topping or filling. 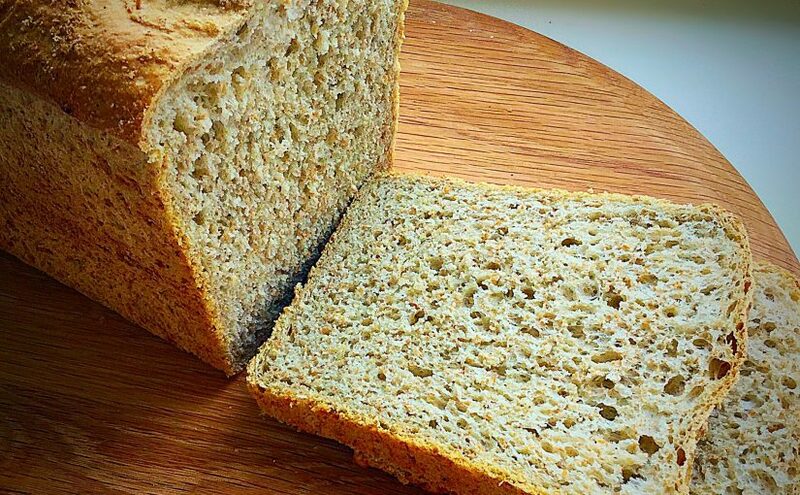 Being 100% wholemeal ensures each slice is loaded with fibre and being homemade there are no artificial additives. A great tasting loaf that’s good for you. I also prefer to bake with Organic flour, so my loaf is as wholesome as it can be! Lunch – as slice of Wholemeal Cob Loaf with Avocado, sliced Tomatoes and Strong Cheddar – delish! 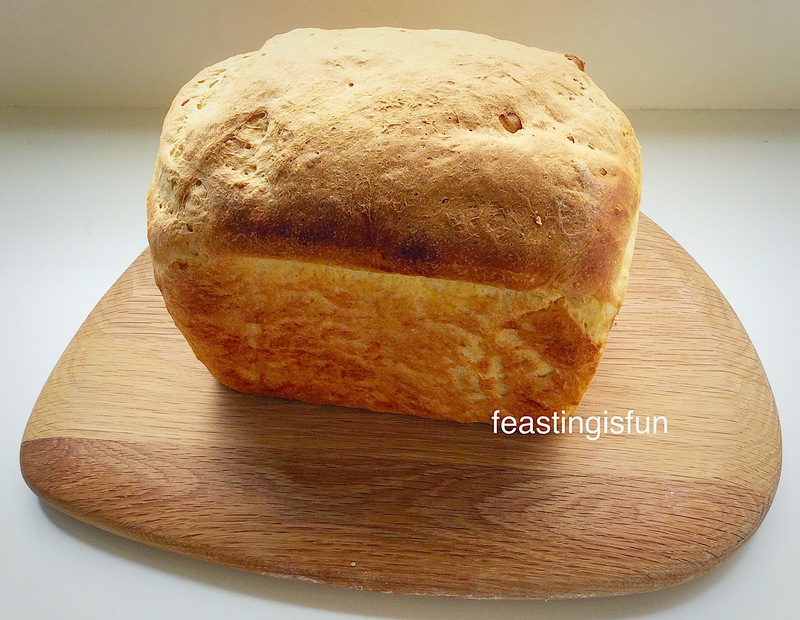 Method : Given for bread maker/Stand mixer with dough hook. Pour 300ml warm (body temp) water into the bowl. 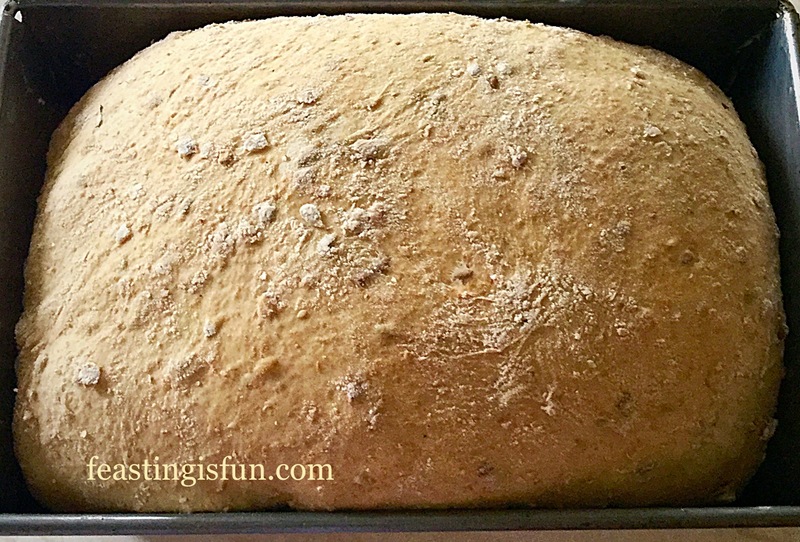 Add the honey and yeast. Swish around with clean fingers to mix. 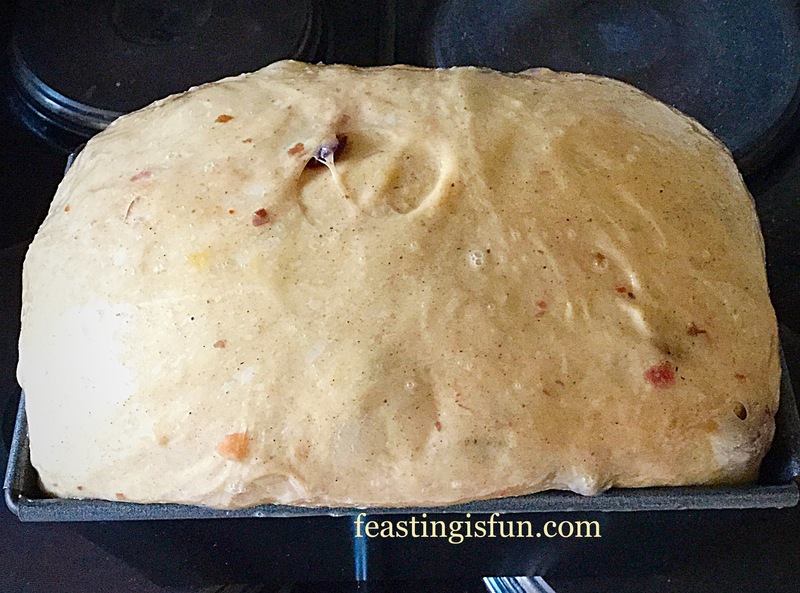 Add the flour on top of the liquid mixture. Next add the salt and butter/oil. 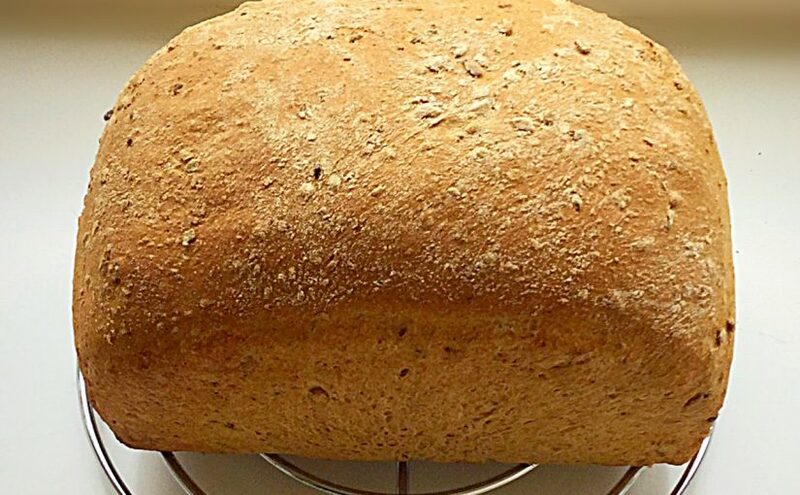 Set the bread maker to mix and prove the dough – the mixing cycle should last at least 10 minutes. 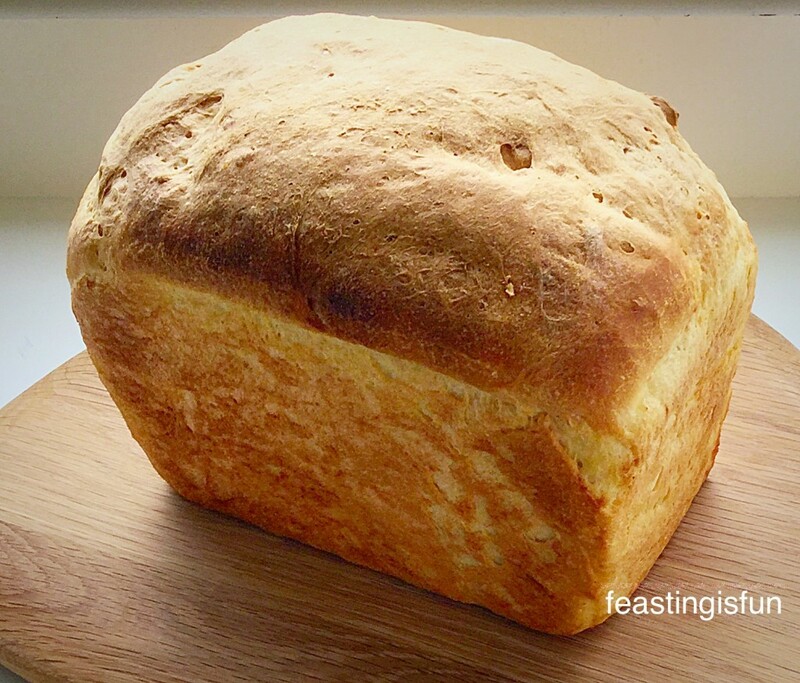 For a stand mixer switch on to a low/medium speed and mix for 15 minutes.In both cases check the dough, if the machne is labouring and the dough doesn’t seem soft, or it looks dry, add more water, 15ml at a time, until the dough is pliable and soft (no cracks). 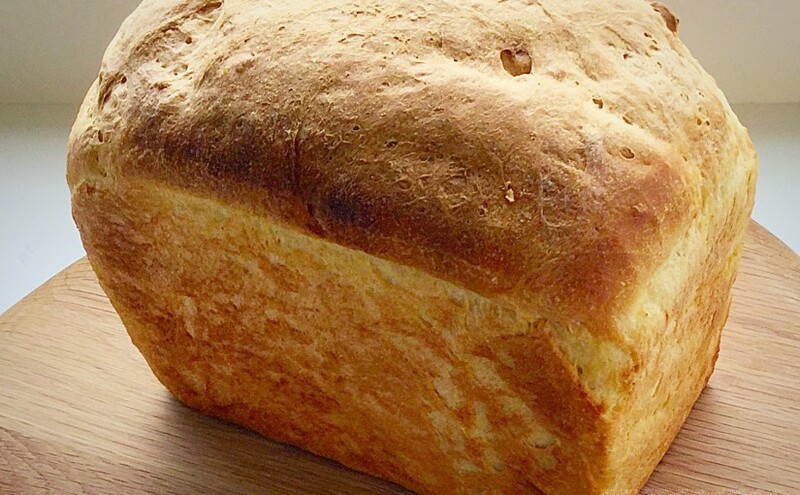 The weather and flour can both influence how much water is needed. 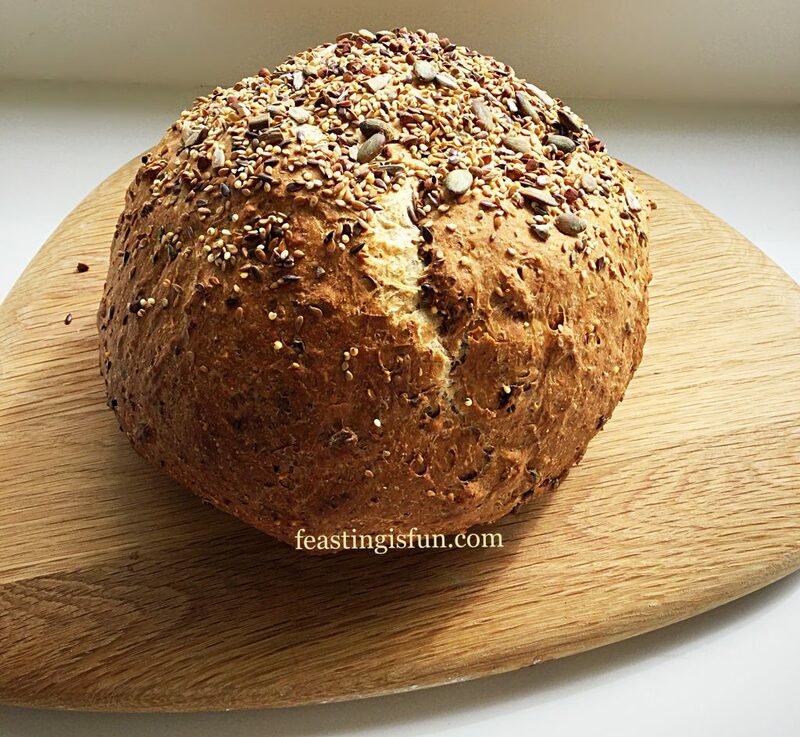 With wholemeal flour I would always err on the side of a slightly wetter dough, you don’t want to have dry bread! 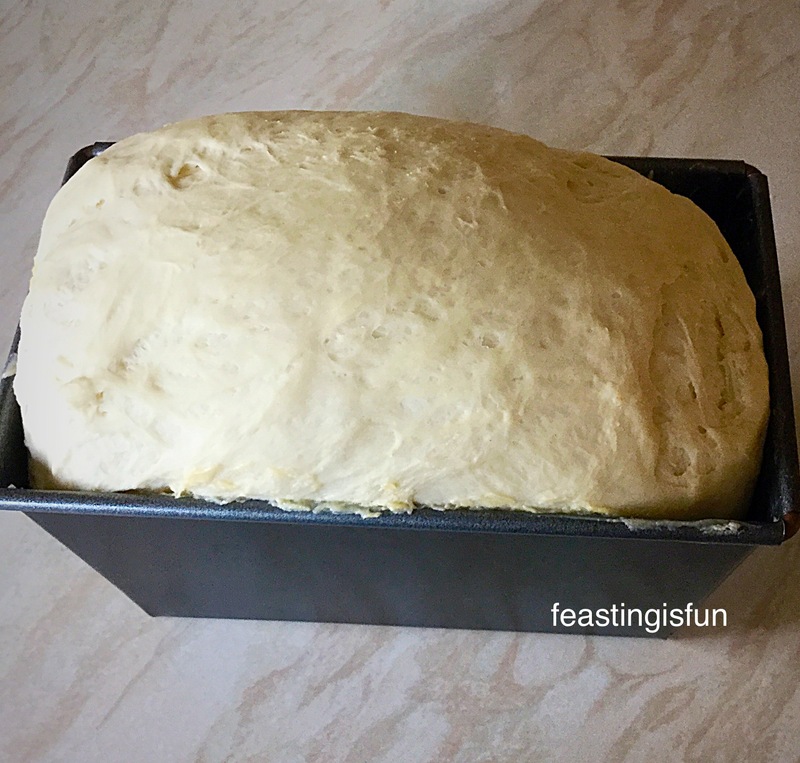 With the stand mixer, after mixing place the dough in an oiled bowl, cover with cling film. When doubled in size return dough to the mixer bowl and mix again fo 15 minutes. Repeat proving and mixing process once more (total 3 proves, 3 mixes/knock backs). If using a bread machine once the dough has been proved once, repeat the mixing (which will knock bake the dough) twice more. 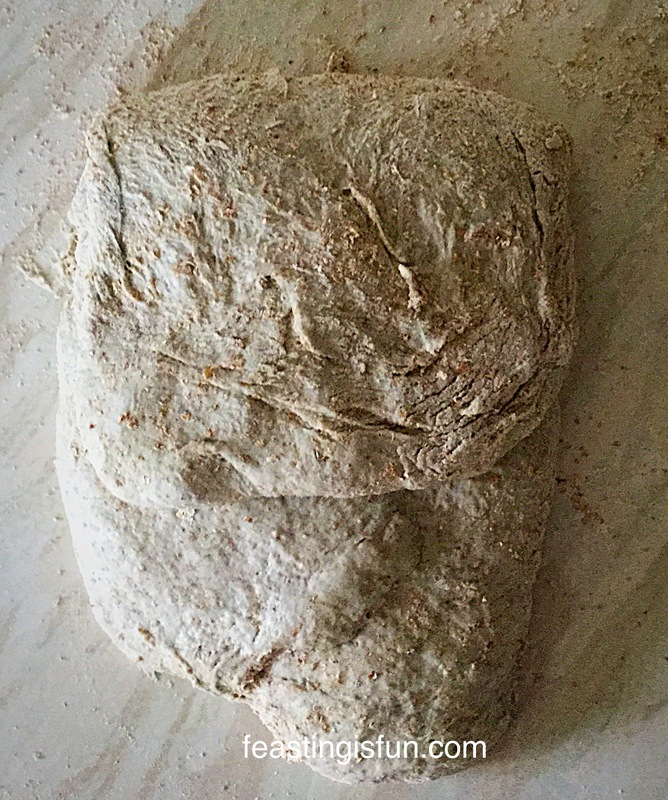 Utimately this dough needs to be proved 3 times – trust me it’s worth it. The third prove is the final prove, this is where you shape the dough. Tip the knocked back dough onto an oiled baking sheet. 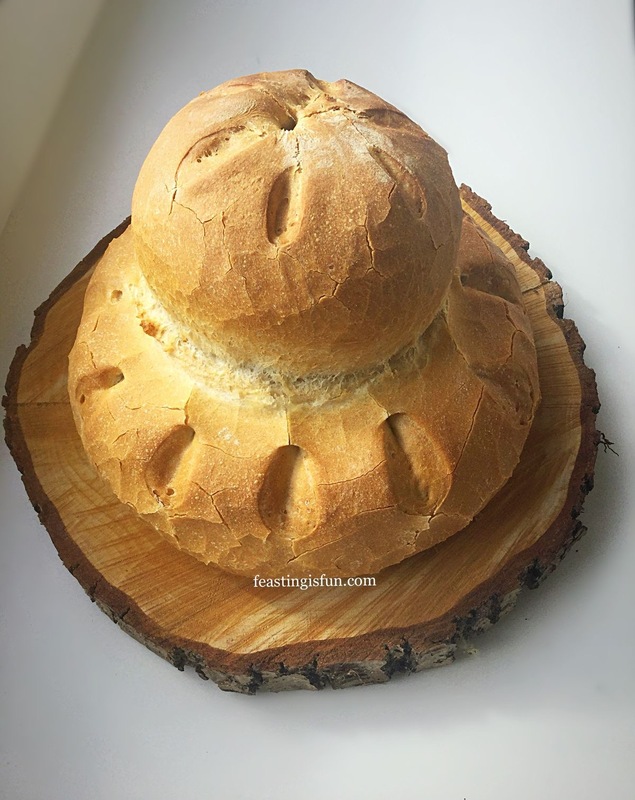 Form into a round. 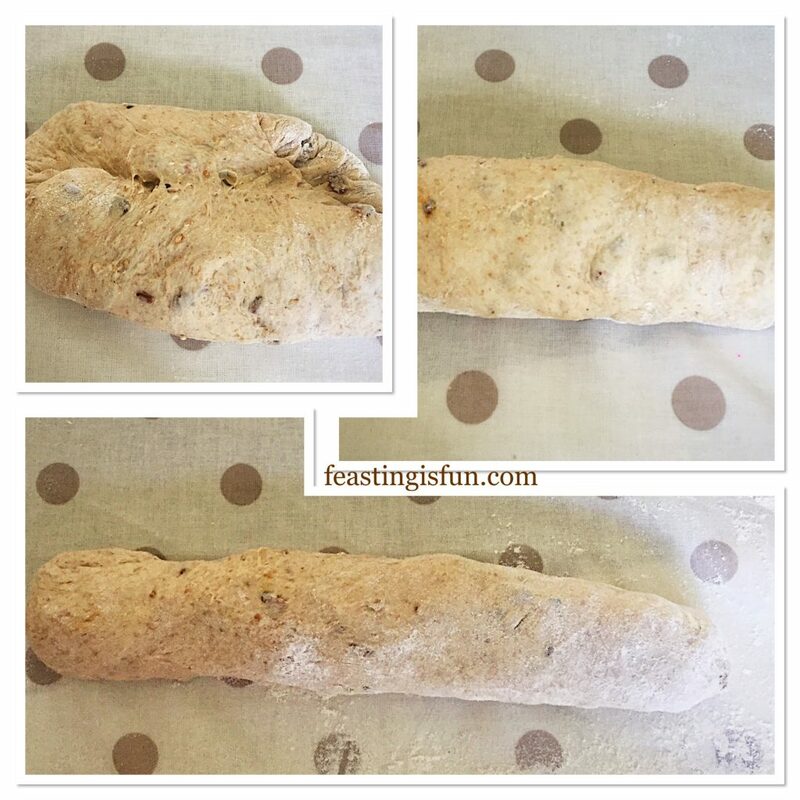 If baking one loaf, cover in oiled cling film and leave to double in size away from drafts. 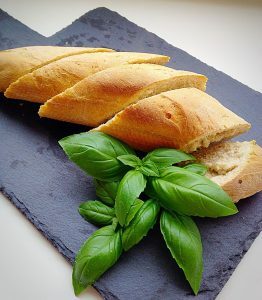 For 2 loaves cut the dough in half. 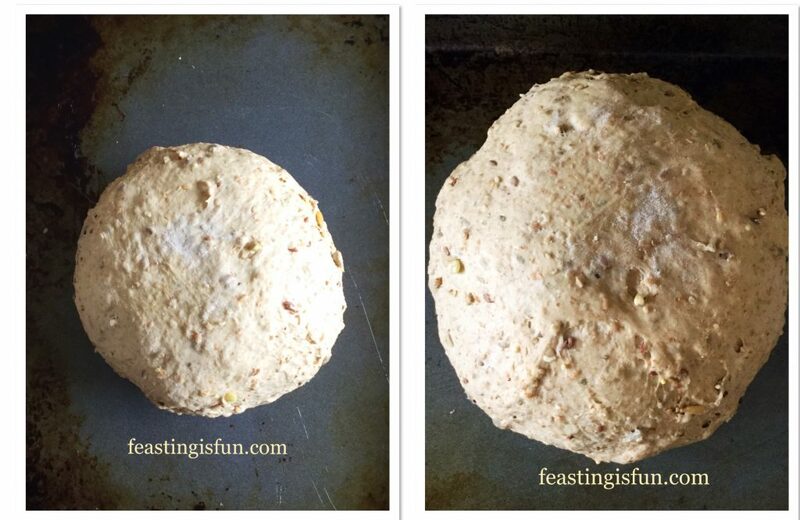 Rotate the dough on the baking sheet to form a tight ball. 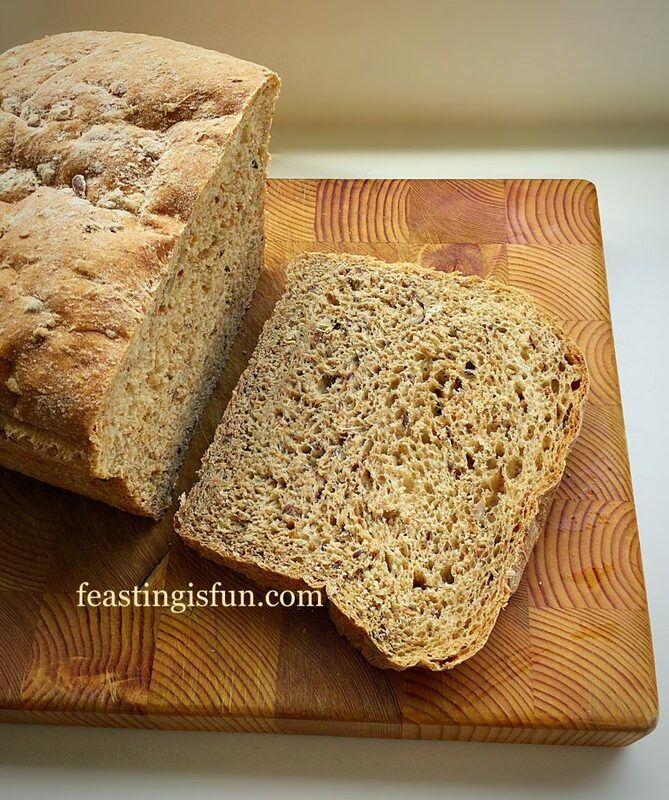 Cut three lines through each loaf – this is optional, but does give a better crust. 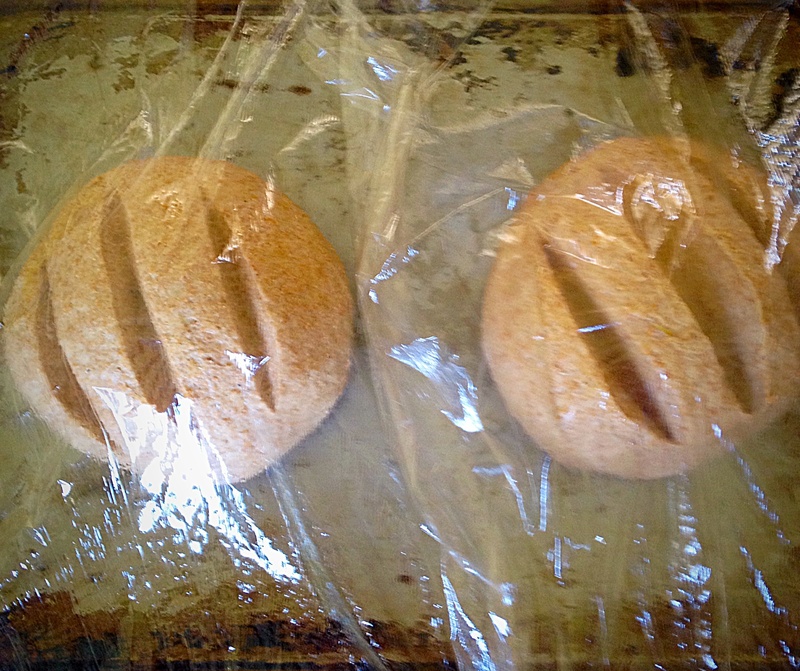 Cover with oiled cling film – this stops the loaves sticking and drying out during their final prove. Leave to prove until doubled in size. 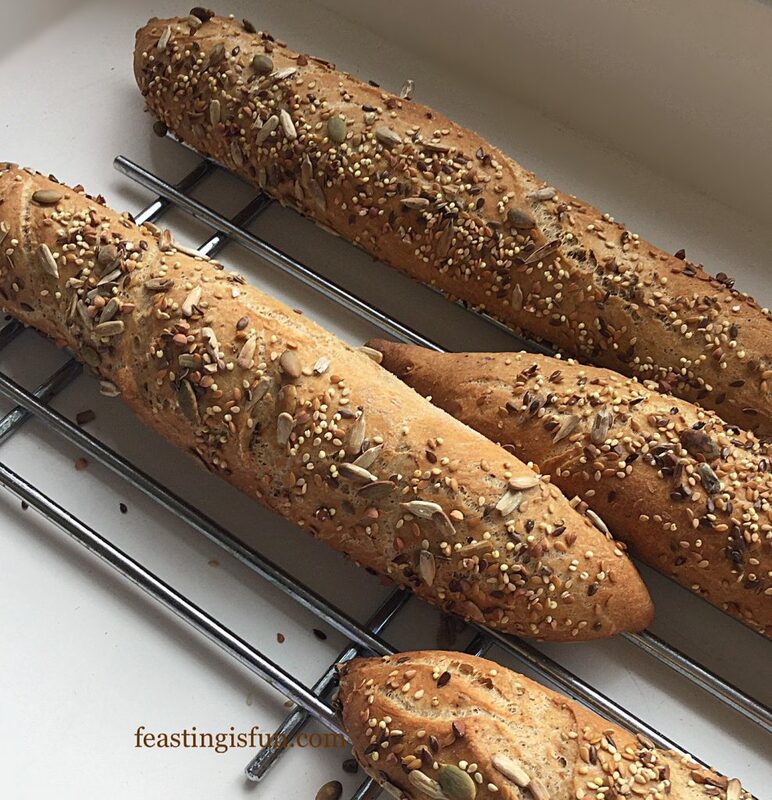 If you have a water sprayer (I keep one especially for bread), once the cling film is removed, spray the loaves and the inside of your oven as you put the loaves in. If not place a tin of hot water in the bottom of the oven whilst you are preheating it. 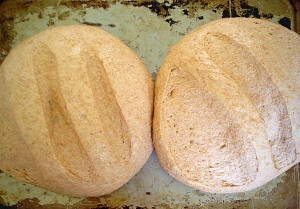 The steam not only helps the dough to rise more fully before it sets, it also helps create a lovely, crisp crust. 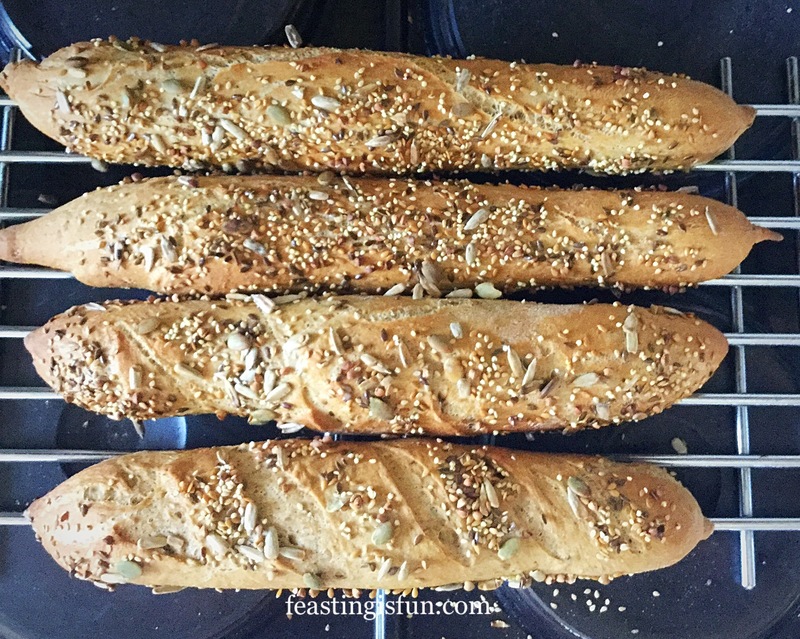 Bake for 15-20 minutes (longer if you are baking one large loaf 30 minutes). 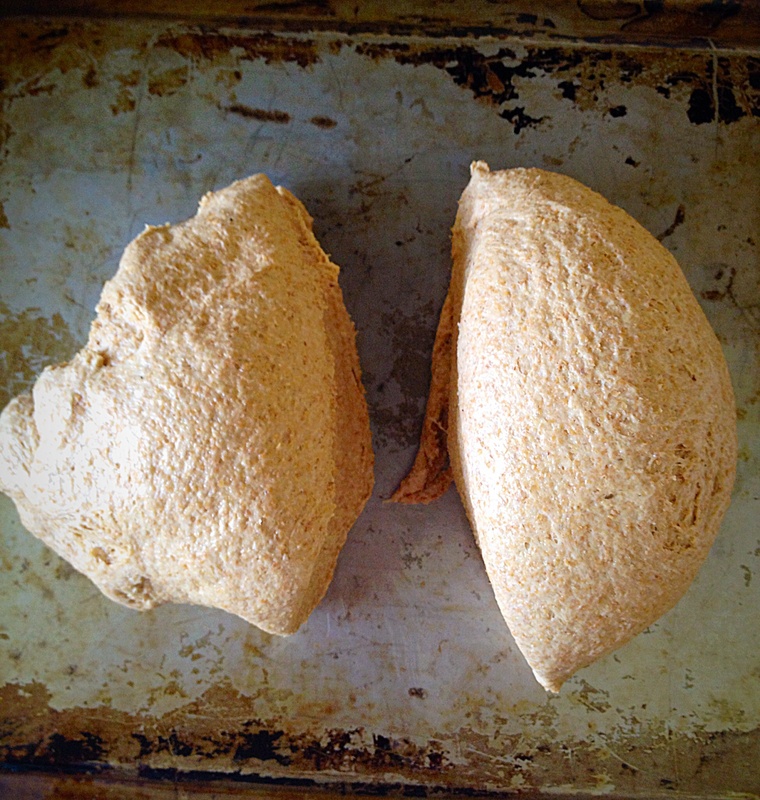 The loaves are baked when they have a deep golden crust and sound hollow when rapped on the bottom with your knuckle. 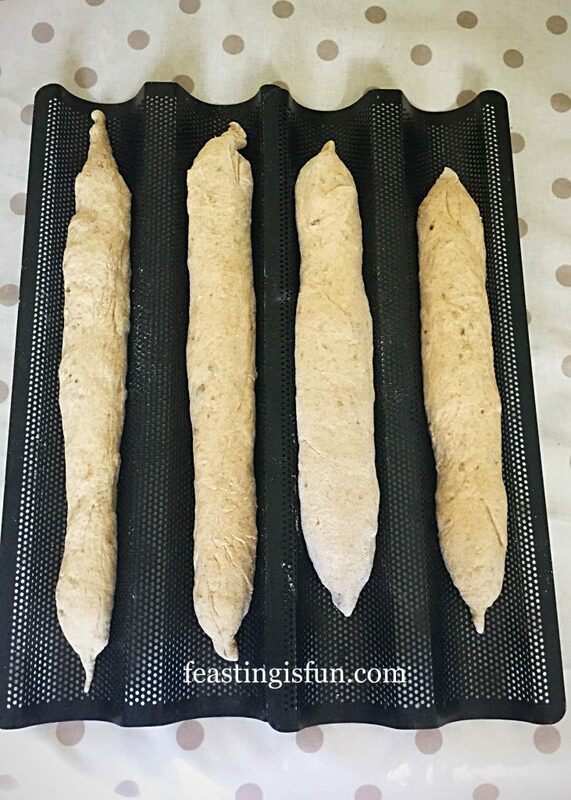 Remove the loaves from the oven and allow to cool on a cooling rack. 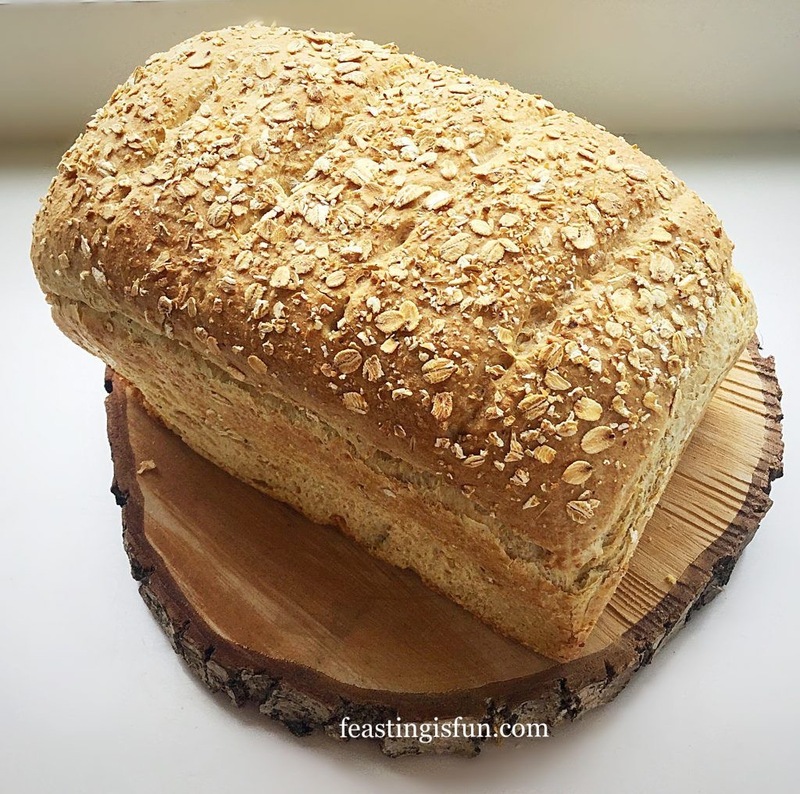 Gorgeous, golden, healthy, Wholemeal Cob Loaf. I made 2 loaves and gave one to my mum. 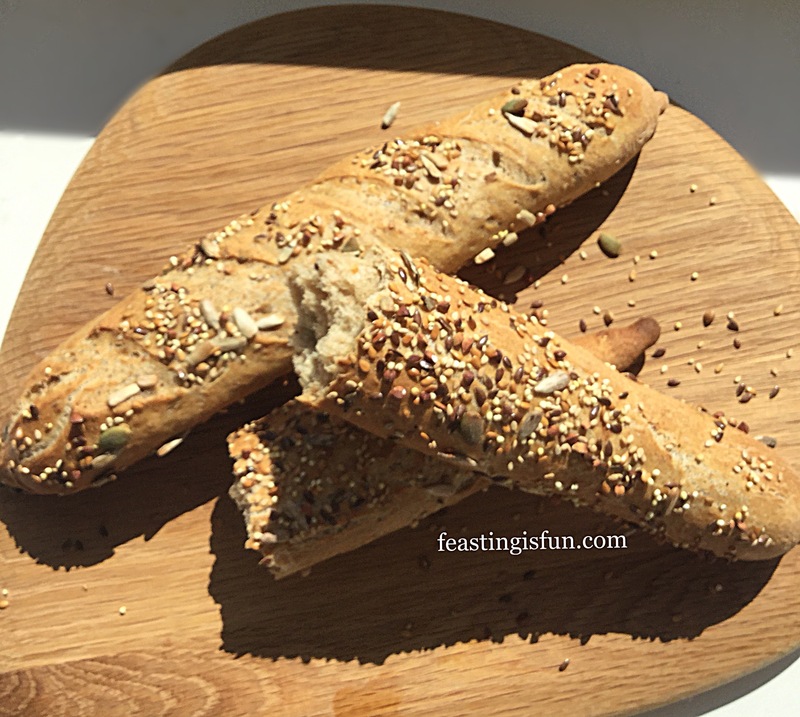 We were both really impressed with the flavour, texture and lightness of this bread. This is without doubt the best 100% Wholemeal bread I’ve ever made, possibly ever tasted. 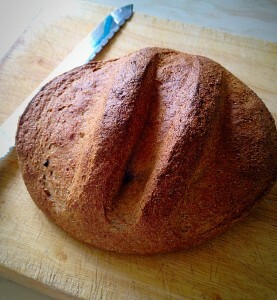 I used Bacheldre Organic Wholemeal Bread flour. 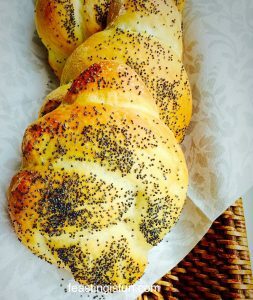 Please let me know if you make this bread? Also do you use your bread maker to do the hard work and then finish the loaves off in the oven, or is it just me? ?